Fatigue layed over my body like a wet blanket as I casually put my point and shoot camera into the back pocket of my jersey. Feeling good about the shot I just got of my three riding partners a peculiar sense came over me, something was different. I looked up to see Todd McFadden who had been riding first position shooting up a sharp rise with an intensity that had gravel spewing from his rear wheel. Ross Fraboni was second wheel and was now out of the saddle giving chase. The wheel I was connected to belonged to Matt Lee who was now laying the coals to his pedals. "This is it!" I said. Slamming the camera home in frustration, I had allowed a gap to form. Jumping from my saddle I went from tourist to full on bike racer in a split second. Fifty meters was what separated Matt and I, while at least one hundred lay between he and Ross who was stuck to McFadden's wheel like glue. "Don't get dropped, Don't get dropped..." I repeated to myself as I took huge risks while slamming through an ATV trail somewhere north of Two Harbors, Minnesota. It was day two of the 2 stage, 200 mile, Heck Epic. The concept of the Heck Epic was spawned from the mind of Jeremy Kershaw, the man responsible for creating the Heck of the North, a 100 mile gravel race across northern Minnesota. The "Epic" is beautifully simple in it's design. All one has to do is load his or her bike up with the gear they feel they will need to not only sustain themselves on two very long gravel rides, but also allow them to camp overnight. Camping is required between stages, which brings a lot of decisions into the game. Should a rider opt for a light weight racing kit and run the risk of an uncomfortably cold night on the ground or run a little slower and heavier with the hope that a good nights sleep will pay dividends on day two? Being a man of simple means and lacking the latest in high tech, light weight gear I chose to carry more weight in hopes of a comfortable night of much needed rest after day one. My good friend, Charlie Farrow knocked on my door at 5:00 a.m. sharp to find me no where near ready to go. He was my ride to the start line and my source of intel as he had completed the event last year. It wasn't long before we were on our way up the North Shore of Lake Superior to the sleepy little town of Two Harbors where we'd complete our final preparations. The start area is where I met Matt Lee who initially got my attention with his abnormally light set up. The man simply had nothing! I've taken more gear with me on afternoon rides than Matt had. Immediately, I began to question my whole kit. It was too late now, I was going to have "run what I brung". It didn't take long before I felt like a rookie as I examined other rider's gear choices. I had the overwhelming feeling that I had no idea what I was doing and they were all pros. The starting line had some familiar faces and it was good to know I'd be riding with them. Ross Fraboni, Todd McFadden, Chris Finch, and the list goes on. Jeremy briefed us on some final course information and wished us good luck and confidently said, "I'll see you in Ely!" Ely, Minnesota on the northern edge of the state was our destination. I had no idea how we'd get there, but the cue cards mounted to my handle bars would show me the way. Seconds before the start I was unclear how I would approach the day. With a recent family crisis involving my Dad's health I have been completely off the bike for weeks. I did not feel that I was in good shape, nor did I feel I had the mental fortitude to "race" this event. I was really leaning toward sitting back, telling a few stories, and just riding through the first day with some good company. However, with one turn of the cranks that all changed. I stopped thinking and let myself give way to the bike. I found myself stuck to last year's champ, Ross. He was gradually winding up the pace and it felt good. There was no rocket ship blast off like usual, just a slow methodical build up of intensity. Approximately twenty minutes in we were riding at a good clip and utilizing a pace line. I assumed that the rest of the field was strung out behind us, but I was wrong. There were five of us, with a large gap separating us from the main field. Soon we were just cruising along as if we were on really long ride together. As the minutes turned to hours I couldn't help but absorb the vastness of the area. We were in a wilderness that was truly remote. I kept wondering who used these roads and how Jeremy ever found them. The times to take in the views came and went with the changing intensity of our riding. Twenty minutes of hard effort would give way to easy pedaling and casual conversation, followed by thirty minutes of short hard pulls and quick rotations. This pattern turned our group of five into four as Paul, from Kansas had drifted off the back. Little did I know at the time, but our little band of 4 brothers would make up the front group for the entire event. The miles passed uneventfully until Todd was sidelined by a side wall cut on his rear tire. I didn't mind the quick stop for the repair. To be honest, I needed a little break. Ross and Todd diligently worked on the tire while Matt and I marveled at our situation and our location. We had no idea where we were other than what our little cards told us. The small two track road that stretched out before us was known as "Snake Trail" or something to that effect. It seemed to go on forever, straight ahead, leading us to some unknown destination. We hoped it was Ely. With the flat fixed and us back on our steeds we pressed on. Eighty miles turned into ninety and the monotony was on me as was a general malaise. Drifting back after a pull I broke the silence by flatly stating to Todd, "I'm pretty tired". He responded in kind, but it felt more like he was being polite as I noted his smooth unaffected riding style. I knew this feeling would eventually end and I was assured that it would when we entered the tiny town of Ely. Ross knew the way to the camp ground and I gladly let him guide us while I rode second wheel. I watched him close as he seemed to have a bit of nervous energy about him. We hadn't discussed the finish so it was unclear how it would play out. Would we ride in like gentlemen or would we fight it out like dogs in the street? My question was answered when Ross suddenly rose from his saddle and started to sprint. "What? Is he serious?" I questioned. 109 miles in and I'm sprinting to a finish line that I can't see or even have a clue as to it's location. Finally, after a sharp downhill left turn I saw Jeremy in the distance. I rocked my heavy rig back and forth for the line to take 3rd on the day with Matt and Ross going 1 and 2. We laughed about Ross' antics and I teased him about the rude gesture, but it is a race after all. I was happy to have finished with these strong riders, but now it was time for some much needed rest, I had a big day coming up. I just had no idea how big. Camp life was uneventful, save one major down pour that drenched the kit I had left dangling off the handle bar of my bike. The soaking rain came while on my way to dinner, there was nothing I could do for my riding clothes, except rest assured they were getting a thorough rinse. Dinner was relaxing as we shared stories from the day and had some good laughs, usually at Charlie's expense. The morning of day two found me questioning my decision to carry a heavier load with the hopes of getting a good night of sleep. As it turned out I experienced a fitful night while my neighbor shook the nearby tree limbs with a level of snoring unlike anything I had ever heard before. Finally, I accepted the fact that I could no longer squeeze another minute of sleep out of the morning so I got up and started to work on getting things set for the long, rough trip back to Two Harbors. First and foremost, I needed to secure the load on my handle bar as it was shaking loose on the previous day's ride. With the purchase of some extra cinch straps at the local outdoor store in Ely and some redistributing of weight, my load was solid. Jeremy pulled out all of the stops by having breakfast catered for all riders. This was a huge plus in my mind. A hearty breakfast before the days work would pay off later. I woofed down a meal and made some final tweaks to my machine. It was just a matter of time before we'd be under way. I was anxious to get started, but really didn't know how the day would treat me with 109 miles in my legs from yesterday combined with the fact that the 2nd day of the "Epic" is notably tougher. Jeremy lead us out of Ely's streets and it wasn't long before we were cut loose. I took an initial long, hard pull on the front in an effort to get the four of us clear of the field early. To my surprise (and disappointment) the energy burn didn't take. A long line of some 20 riders trailed out behind us while the 4 leaders were the only ones wiling to work on the front. It was Todd who set the precedent and went to the back of the group forcing the newcomers to earn their keep. The pace seemed to increase, but was manageable. A look over my shoulder confirmed that our little "band" would be back together soon. The arrival of the first off road section of the day found the four of us clear of the field. Ross and Todd were putting on a clinic on how to ride rough two track, as their full suspension mountain bikes ate up the imperfections of the trail. Matt and I resigned to hang on to them the best we could as this was now mountain bike country and our rigs were not fully up to the challenge. The riding was fun and intense at times, but it was the surges of energy that were starting to catch up with me. I was beginning to feel flat out tired! 45 miles into a 110 mile day and I was cooked! This wasn't good. It so happened that my "darkness" settled on me during a long stretch of gravel rollers. The thr ee lighter rigs around me seemed to glide up the climbs while I went deeper and deeper for every summit. The boys were noticing that I was slipping, I could tell from their suspecting glances. I've never been too proud to admit when I'm tired, so I broke the silence by saying, "I'm in a dark spot guys". Immediately, my friends began digging through their cashe of supplies for whatever it would take to get me back up to speed, so to speak. Ross handed me a couple of E-caps, while Todd gave up an entire canister of them for me, "just in case I needed some later". These were the gestures that kept our little "band" together and in my mind made this ride so special. I knew if I made it to the 50 mile check point with the boys I'd be o.k. There I'd get a Coke, some food, and a few minutes off the bike. In the meantime I languished in the back of our group, at times feeling bad about my inability to pull, but I knew they understood. These were bike racers, they'd been in my spot many times before. Soon enough the c.p. came and I followed my plan to a "T". Immediately, I felt better once I was back on my machine. I joked with the guys about how I'd see them at the finish, while I launched a mock attack breaking away. They laughed at me as if they knew something I didn't. Ross hit the off road section that followed the check point as promised...HARD! He warned us that we'd be racing from here on in and he obviously wasn't kidding. I held my own with the attack, dodging the puddles and rocks the best that I could while we soared through the two track. Eventually, his strong push subsided and we were all still together. I doled out a solid effort on the front, but was unsure how it was perceived by the group. I wondered if it really tested them or was it more of an annoyance. I didn't know, the only thing I knew for sure was that I was doing the best that I could. Todd broke next and with a level of intensity we had yet to see. He exploded off the front of the group with Ross immediately giving chase. I knew this would possibly be one of the last attacks I'd see before we broke up. Going FULL GAS I hung on for dear life as I took crazy risks in an effort to reel Matt back into my grasp. At the same time Matt had his hands full trying to nail back Ross who was on Todd's wheel. I could feel my bike loosing contact with terra firma as I blasted through huge puddles at 20 mph, my rig hydroplaning through the water gave me the uneasy feeling that disaster was imminent. The bends in my elbows burned from getting whipped by branches as I attempted to avoid the deepest parts of the water holes. Despite all of my problems I was doing it, Matt was coming back to me! I crested a small rise with a surge of speed and over took him on the top. We blasted down the other side a foot apart and closing fast on the two leaders. Finall y, I saw Todd check on the damage he had caused and in realizing that we were back, he simply sat up. It was over. A twenty minute full on assault of power and I had managed to stay latched on. Todd later told me that he remembered that he was not dealing with normal bike racers on this day, he was dealing with guys who were mentally tough. I took that as a compliment and also took the opportunity to let him know that I would never go down without a fight. Todd's attack had put a serious dent in my armor and I noticed that whatever was left in the legs for fighting purposes was now gone. I was very vulnerable and I think the guys knew it. I also know that I wasn't the only one who was tired as silence between us now prevailed. Mile 82 had us turning off of asphalt and climbing up a rise onto the North Shore snowmobile trail. This would be the last time I'd be riding with Ross and Todd during the Heck Epic. Ross hit the climb so hard that he immediately separated from the group. Todd had the legs to give chase while Matt went off the back along with me struggling to simply clean the greasy climb. "That's it, it's over" I said t o myself as the four of us were blown up by Ross' attack. The mountain bikes in the group exploited the section and simply pinned all the sketchy parts while I pointed my wheel at the safest routes I could see. Matt was a mere 25 meters ahead of me when the first snowmobile bridge appeared. The bridge was made for snow machines in the winter, not bike riding in the summer. Boards ran length wise from end to end with gaps between them wide enough to easily grab a bike tire. Hitting this bridge at high speed would spell disaster for even the most skilled rider. As I questioned my approach to the wooden beast my front wheel dropped into a slot while my rear wheel found a different track. I clipped a foot out and did the hop, hop, hop, move of a man about to go down. Somehow I stayed upright, but I was at a dead stop now and that's when I watched Matt ride away from me for the last time. It was a solo flight for me now, but I was happy. I didn't even know I'd be racing the event until seconds before the start, now here I was destined to finish 4th, but more importantly I had done it with a great group of guys and in an effort that I could be proud of. With the remaining miles slowly passing I navigated alone, noticing from time to time Matt's figure a mile or so up in the distance fighting whatever demons may have been riding on his shoulders. My demons had left me somewhere after mile 82. I was riding in good spirits, my head was up, the sun was shining, and the critters of the wilderness were flitting about. I had started what I thought was another bike race, but ended what came to be an adventure of camaraderie and spirit. The Heck Epic lived up to it's name in every way. What a race, what a ride, what an adventure! I crossed the finish line and into the handshakes of my buddies. Their slaps on my back and smiles let me know they were just as happy as I to have shared so many miles together. It was good to be off the bike, but I'll admit I took a moment to glance back down that gravel road, a piece of me wanted to go right back out there and do it again. site rencontre avis comparatif good opening lines for dating site http://cafemamboibiza.com/?vuuijj=cherche-femme-celibataire-quebec&96e=07 site de rencontre gratuit pour les hommes belgique http://aquanetta.pl/wp-admin/css/colors/coffee/wp-post-update.php dating cancer sign gay asiatique rencontre http://comfycozycouture.com/CCC/kipiwer/5890 site de rencontre quebec montreal rencontres hommes musulmans Amy Fullerton, in my mind and in my heart you were right there with me during those closing miles. Thank you for your support and thank you for reminding me that with all that is going on in our lives right now, I still need to get on my bike and ride. Jeremy Kershaw and his crew, words cannot express what this event meant to me. Thank you for putting on such a professional operation. Most importantly, you know why we're all out there and that makes it even more special. Salsa Cycles, my Cutthroat was the right tool for the job and it performed flawlessly. Thank you for always having my back and thank you for getting behind all the right events. Rudy Project, once again I forget that your gear is even with me, which to me means it's working as it should. Thank you for keeping my head and eyes safe and for standing by me while I take on challenges that I'm not even sure I can do. Schwalbe Tires, my Thunder Burts were durable, light, and fast rolling, perfect for the Epic. I never worried about them, not once! FLUID Nutrition, you were with me for all 217 miles and you've been with me for thousands over the years. Cramping was never an issue and nothing was more important to me after day 1 than getting my FLUID recovery drink down, it made all the difference. Charlie Farrow, not only did you get me to this race, but you've always believed I can do more than I think I can, for that I thank you. Thanks for all the miles! Ross Fraboni, Todd McFadden, Matt Lee, I've ridden a lot of miles with a lot of people, but never have I felt more comfortable and more on the same page as I did with you guys. It seemed like we'd been riding together for years. Thanks for making my Heck Epic one I will always remember. A glance to my heart rate monitor told me my ticker was already working hard at 55 beats per minute above my usual resting pace. I tried to breath through my advanced rate in an effort to slow it down. My hands were shaking as I moved through a series of mental gymnastics in an effort to calm down. I was standing at the starting line of the 2016 Lutsen 99'er and I was nervous. Coming off a disappointing Dirty Kanza, where I failed to finish the event, I think I was more scared of a repeat performance than I was of the 99 hard miles that lay before me. I've tried hard to put Kansas behind me, but for some reason she kept tapping on me on the shoulder and reminding me of what she did to me, almost mocking me. I'd concluded that the only way to say "good bye" to that day would be to complete a race in a way that I could feel good about. I had over 6 hours of riding in front of me full of opportunity to do just that. I positioned myself in the second row of some 550 riders waiting for the start. I chit chatted with cycling friends that I've shared some of the hardest miles of my life with and as I did so my mind kept replaying my game plan over and over in my head. The plan was the same as it was in 2013. I call the plan, "Give yourself a chance". Here's what it entails. Ride as hard as I possibly can right away in the hopes that I am able to latch on to a fast riding group, and then hang on for dear life with that group until the finish line. This has been the business model I've operated with at Lutsen and it has worked every time. I should add that this is far from the plan that I approach all races of this distance with. I'm not sure what it is, but the format of the Lutsen 99'er with it's mix of mountain biking and gravel agrees with me. But, a lot can go wrong in 99 miles while beating mercilessly on your bike. I stared at the backs of some of the heaviest hitters in the Midwest as we cruised up Highway 61. Close behind the motos were Minnesota's hero Jeff Hall, Michigan's Matt Acker (and my Salsa teammate), and super stud Jorden Wakeley. It felt good to be close to their wheels in a bike race even if it was while I was still in the lead out. The motos rode side by side and escorted us up the highway for much longer than in years past. I kept my eye on them as I knew soon they'd be cutting us loose and the already quick pace would go straight to the moon as soon as they did so. Suddenly, the moto rider on the right looked directly over to his partner and made a swirling motion with his left hand. "This is it" I thought. In unison they squeezed their respected clutches, knocked it up a gear and their engines roared. The pace went up as I expected and we thinned out into a long line as if we'd all practiced it the night before. The final selection would be made once we began the long climb from the shore of Lake Superior inland to the high country of northern Minnesota. Finally, the left hand turn came and Jorden Wakeley stood on his pedals and absolutely hammered away from the field. It was something special to see, his bike rocking back and forth as he moved away from some very talented riders. The big guys gave chase and it wasn't long before the men were being separated from he boys. I was one of the boys, well maybe a teenager. I counted the chase groups in front of me and I was unfortunately sitting on the front of the 3rd group back. I didn't look behind me, but it was a big group and they were satisfied with letting the Salsa boy sit on the front and create the pace. I kept asking myself if I was going as hard as I could and the answer was always YES! I needed to get off the front as precious matches were burning quickly and I hadn't even hit the dirt yet. My friends behind me must have noticed that my pace was slowing. They crept by me on my left allowing me to slide backward looking for a place to hide from the wind. Not a word was spoken as the line silently passed. Occasional glances toward me were their thank you. The moan of knobby tires on tarmac was the only sound that could be heard. I checked my mileage and I was closing in on 8 miles. The right hand turn to the gravel was coming soon and I wanted to get through that turn unscathed. It sounds easy enough, but if one is mixed in with a dozen strong men riding their bikes as hard as they possibly can it can prove to be dicey. Coming off a strong draft and a bit of downhill I was able to move back into the front position of my group with some momentum. A few hard pedal strokes and I was 100 meters ahead of them and alone...perfect. I handled the turn by myself and was soon overtaken as the pace once again lifted. This year I was on Salsa's 2016 Spearfish. The bike is tight and fast, but was still pretty new to me. I opened the suspension on the first two track section and it wasn't long before I forgot that the imperfections of the trail were even there. I felt good and was happy with where I was in the field, probably in about 40th position. While I settled in to the business at hand I noticed a familiar, friendly voice as he moved past me. It was my most trusted mechanic and friend Ross Fraboni. Ross is an exceptionally talented rider. He is steady and strong and watching him ride difficult single track is like attending a mountain bike clinic. The trick is you have to stay with him long enough to be able to watch. This day I was determined to watch. Ross moved effortlessly up the rolling hills of Lutsen's forest all the while weaving in and out of heavy bike traffic. "Keep your eye on him, don't let him get away" was all I told myself. Ross had developed a significant gap between us and I was resigned to wondering if I'd ever see him again. It wasn't long before I saw him pulled over, his chain slack on his bike with the all too familiar sight of the derailleur cage curled in an ugly upright position. "He's done" I said to myself as I passed. I felt bad for him, what a way to go out and so early. I put my friend's experience behind me and reminded myself to avoid the loose sticks in the trail and to ride smart. The pedaling was beginning to feel mundane and the focus centered on keeping the pace pegged on "very high" while the minutes slowly crept by. Suddenly, Ross' voice echoed in my head. He was back! He giggled as he moved by me again. "I thought you were out" I yelled. He laughed and made some light hearted comment about his silly little problem. This is Ross' way, he never gets worked up and reminds me all the time that this is the sport we love. While working the bike for all that it had I was opening and closing my suspension depending on the terrain under my wheels. A strange rattling sound began to develop every time I opened the rear shock. "What the?" I thought. This was a new sound. I scanned my machine the best that I could while on the fly. Nothing jumped out at me as a problem so I chalked it up to the fact that I was really putting the Spearfish through her paces, harder than ever before. Maybe it was the sound of all the hits reverberating up through the carbon frame, I wondered. "Ross, I'm getting a weird rattling sound every time I open the suspension!" I yelled. I secretly hoped he'd offer some mechanic's advice that would make me feel better about the situation. His reply was simple, "You're going to hold together Tim and you're going to do fine!" I told myself he was right. I wouldn't worry about the problem until it was a PROBLEM. The race was now in it's middle stage and my rattling sound was just back ground noise to me. Instead, I began to focus on the darkening skies above. My last check of the hourly forecast let me know that there was a mere 15% chance of thunderstorms, but this looked more like a 90% chance. My mind flashed back to the room before the start where I held my fenders in my hand debating whether or not to take them. Quinn, my travel partner, friend, and fellow racer mocked me for even considering it. "Don't you like to get dirty? ", he asked. I dropped them where I stood and left the room, my bike in tow. I cursed the decision to leave the fenders behind as the first few rain drops hit my helmet with a resounding splat. It seemed that the ominous clouds above offered a few false alarms as the storm failed to materialize initially. I didn't mind the little showers I was experiencing at the time, in fact they felt good. However, as I entered my second loop of off road the clouds were done kidding around. A clap of thunder went off above me and the tree tops...KA-BOOM!!!!!! A shudder went through my body as I shrunk closer to my handle bar. I had my hands full at the time as I was moving through either lapped riders or 69'er competitors. Needless to say the trail was busy. The explosion that occurred above me seem to be what the clouds needed to unleash all that they were holding. A torrent of rain began with such earnest that a spookiness came over the woods. I tipped my yellow lensed glasses down to the tip of my nose in an effort to see some semblance of the trail. My search for the single track turned into a decision to just put my tires in the middle of the flowing water. A mini flash flood was happening before my eyes. I marveled at the mist that hung in the air, a byproduct of the sheets of rain that pummeled down. Every few minutes a clap of thunder similar to the first would rattle my ear drums and pound my chest. "Man, this is serious" I thought doing my best to stay on top of the pedals despite the biblical weather situation going on around me. Ross and I completed the second loop together and he mentioned that he needed to grab his drop bag at the aid station. I let him know that I would soft pedal in order to wait up for him. He thanked me as he pulled off for his bag. I decided to make a 5 second stop at the volunteer's table s o I could spray off my glasses. I spotted several cycling style water bottles lined up on the table. I asked if they contained just water and was assured that they did. I grabbed one and blasted my face and glasses only to find out that it was a sugary GU mix, not what I expected. Disgusted by what was now mixed in with the mud on my face I left the aid station trying to keep my head in the game. I knew that another 10 - 15 mile off road section lay before me and once that was complete I'd be in the final stages of the race. The turn to the section came quicker than I expected and I was alone. Unsure of where Ross was I decided to get my speed back up to where I felt it needed to be. Suddenly, my bike and it's rattling sound became impossible to ignore. "Something is definitely not right" I thought. I looked down between my legs toward the back end of the bike only to notice the rear caliper bouncing around on top of the disc. "Oh my God! My brake is falling off!" I said aloud. I had no choice but to stop and inspect the situation. I laid the machine down and wiggled the caliper. It was very loose! In fact, one of the two bolts that held it to the frame was completely gone and the other was backed way out. As efficiently as I could I dug for my multi tool. My camel back was a muddy mess which caused the zippers to stick and fight me the whole time. Eventually, I retrieved my small tool bag and was ready to get started when I heard, "Ohhhh Tim". My friend had caught me and was riding past. I yelled to him a short description of my problem and went to work. I counted 7 rotations of the remaining bolt before it finally started to bite into the frame. It was almost all the way out. Losing that bolt would have meant a catastrophic end to my race as well as a slow death by mosquitos for me. I snugged the bolt up as tightly as I dared, shoved everything back into the camel back and jumped aboard. My spearfish was as quiet as a church mouse for the following 35 miles. But, if a bolt backed out once, it could back out again. I must have looked at that rear caliper 200 times in those final miles. I couldn't get it off my mind. I finished the two track section alone and was now slogging my way through the final miles of gravel. The beast of all storms had subsided and the skies were brightening. I felt I was riding agonizingly slow as fatigue began to take hold. My legs were like rubber and my mind was floating in and out of the task at hand. Just then a fast moving train of 12 riders overtook me and I made the decision to jump on the back end. I had to dig deep more than a few times to stay on, but I knew that riding by myself meant 15 mph and riding with these guys meant riding at 19 or 20 mph. "This thing will be over a lot quicker if you just stay with this group" I reminded myself. I counted 13 riders in the group and I was holding my own in 11th position. The miles were coming down now and the final aid station was in sight. The pop up tent was positioned on the far side of a left hand turn and was located shockingly close to the finish. As we approached the turn I readied myself for the acceleration that comes after every turn when riding in a group. Inexplicably, the first 8 or 9 riders went to the tent. I took the turn hard and to the inside. Suddenly, I went from 11th position to 3rd of the group. I glanced over my shoulder and there was a gap. I went hard on the pedals as did the two riders in front of me. Once I hit the trail I knew it was the end of the end game. It was all or nothing time. I could no longer make out anything on my GPS due to the mud so I relied on memory. "There's about 4 miles to go" I told myself. "Give it everything you've got!" The messages were sent down to the engine room, but there was nothing more than a rubbery response. I was certain that the other guys were feeling the same. "Stay on it!" I silently reminded myself. I entered the single track leading about 6 or 7. "Should I let them pass?" I shook off the thought, telling myself that if they wanted by they'd have to fight for it. An open section appeared as we traversed the side of Moose Mountain and two riders slipped by me. They quickly gapped me and definitely deserved the pass. Down in the valley the only portion that remained was the mile long climb up Lutsen Mountain. I kept checking behind me and determined that the riders behind weren't gaining on me, they were hurting too. I felt I'd be able to hold my position and that quite possibly I'd met my goal of finishing in the top 40. I knew this section of trail well and I knew where the steepest pitches were and how many remained. With two hard, steep sections remaining I slowly turned over the pedals. A lone spectator stood next to the trail slowly clapping as I approached. "Nice ride, you're 23rd overall" (really I was 24th). "What?" I as ked incredulously. He repeated his statement. A smile crept over my face as the pain slipped from my legs. My eyes scanned the overpass above me from left to right, I climbed the final 100 meters. Suddenly, "Way to go Tim!" stood out among the cheers. There was Amy smiling and clapping, a sight I'd anticipated for 6 hours and 30 minutes. As soon as clipped out of the pedals and dismounted the bike happiness replaced the hurt my body was feeling. I had overcome a mechanical, stayed on top of a very hard pace, and beat down the demon from the Dirty Kanza. In some ways I wonder if that beast of a storm was really the beast of Kansas challenging me, testing my resolve. If so, I'm happy to be able to say that I rode straight into the belly of the beast and came out with a smile on my face. Until next year Lutsen 99'er. Amy Fullerton. You are the best support crew I could ever ask for. You inspire me to do my best. I am your biggest fan. Quinn and Kari Williams. You guys made this trip so fun! Without you two my pre-race jitters would have been much worse than they were. Quinn, you killed it on your fat bike! Kari, thank you so much for your amazing photos. Salsa Cycles. As always you make these experiences so much better and my Spearfish was the right tool for the job. Rudy Project. Wow! Without you I'd be blind right now. My Rydons were light weight and the yellow lenses were the perfect choice for the overcast conditions. Thank you for keeping my head and eyes safe. Schwalbe Tires. The Racing Ralphs are the best all around mountain bike tire on the planet. They are fast on gravel with just enough grip for off road. FLUID Nutrition. 100oz of FLUID on my back was exactly what I needed for this race. The perfect ratio and taste. Thank you for being with me over the years. I will continue to spread the word about his wonderful product. Lutsen 99'er and it's volunteers. This is and always will be one of my favorite events. So professionally run and organized. Course marking is perfect and your volunteers get it. They are excited by what we're doing and it shows through their tireless efforts to keep us moving in the right direction. Finally, thank you for offering your photos for free. "10...9...8...7...6..." I shut my eyes and took a deep breath while the world around me slipped away into silence. A tiny movie began to play in my head with the opening shot being of myself spinning freely on pristine gravel, then fading to a deep water crossing, my bike held high upon my shoulder, followed by a view of the ground with two mud clad cycling shoes alternating in and out of my sight as I mindlessly trudged on like a World War I soldier ordered to march to some unknown destination. Finally, my mind's film cut to a brisk no handed finish, as I rolled into Emporia Kansas' embrace. My senses whooshed back to the here and now as the P.A. system rattled my ear drums, "5...4...3...2...1..." My Dirty Kanza 200 adventure was under way. My thoughts were immediately on the finish as I found my place in the pace line. I felt that I was sufficiently prepared as I seemed to be ready for any scenario. First and foremost finishing was what mattered. Amy and I had driven over 10 hours for the event and reports of extended periods of rain and flooding were buzzing throughout the venue. A last minute decision had me changing my bike set up from a simple top tube "gas tank" to a "tangle" bag capable of a larger amount of tools as well as my nutritional needs. Experience has taught me that the nation's bread basket is not bike friendly when mud is present, therefore I was ready for what could end up being a full on drive train explosion. Equipped with a chain tensioner that I'd mount to the bike in case of a destroyed rear derailurer I felt there was nothing that would keep me from riding into Emporia later that evening. It was early enough that my nerves were still on high alert when I noticed a congregation of riders dismounted up ahead. "Must be some mud" I thought, "here we go". Hoisting my machine I joined the masses in what would turn out to be the march with no end. We walked and walked, turned some corners and walked some more. It just didn't seem to end. A few brave souls attempted to ride, mud flying in every direction, their bikes protesting with every pedal stroke. Later I'd see them on the side looking perplexed as their rear derailures hung precariously by nothing more than a shifter cable. "Keep walking, this will end" I told myself. I was determined to keep my bike safe. Early on in my gravel racing career I figured out that life on the dirt for hours and hours takes on a different meaning, things get simple and it becomes quite clear the bicycle underneath is the most important thing in your world, without it you are nothing. I promised my Warbird I'd take care of her even if it meant adding hours to my ride. The 3 mile walk took about an hour and a half, but it did end. Deep grooves on top of each shoulder reminded me of what I had just done as they marked the spot the nose of my saddle sat through the mud march. It felt so good to be back on the bike and covering some ground again. It also felt pretty good to be riding next to my friend Scott Bigelow whom I spent some of my most difficult hours on a bike during this year's Trans Iowa attempt. Funny how two souls bent on meeting the same types of goals tend to find each other. It wasn't long before Scott and I were tapping out a rhythm we'd become quite accustomed to. Things were calm now and I was doing what I'd come to do. My thoughts now had room to roam and I began to contemplate the ride as a whole. "Wait! You're going to finish in the dark!" I thought. That walk really threw off my timeline and with so many things to consider while preparing for the race it occurred to me that I was not prepared with adequate lights. Stupidly, I never really felt that a night time finish could be a reality. Well, it was now. Equipped with a small commuter light and a small helmet light as a back up I wondered if I'd be in trouble when the dark set in. I let those worries drift away as that scenario seemed to be a lifetime away. Scott and I were several hours into the race when a feeling came over me. The 2015 DK was no longer a race for me, but an adventure that I dove into head first. I no longer cared about my finishing time or my average speed. I was riding next to a man who'd become my good friend in a most peculiar way. If I were to zoom outward and observe the birth of my friendship with Scott it would be obvious that it was built on very little conversation. So much of the bond that we've developed came from shared experiences. Together we've struggled, pushed on, and succeeded through what seemed to be impossible at the time. I guess words aren't really necessary for times like those. Closing in on the first check point I mentioned to my partner that I'd like to continue on past c.p.1 together if he was o.k. with that. He agreed. Quickly we attempted to set a meeting point as we entered Madison, Kansas. I was glad we'd be riding together through the second leg as it was a monster section. We parted ways amidst the hustle and bustle of volunteers, support crews, and riders. "Crew for hire?" I called out to the spectators on the side of the road. Crew for hire was a group of people hired to take care of your every need while in the check point. Also, proceeds from their service went to an extremely worthy cause. "Up ahead at the purple tent" was the answer I kept hearing, but when I scanned the street I saw a sea of pop up canopies. "Purple, purple, where are you?" I questioned as I've been challenged my whole life in the realm of color identification. I resorted to my old trick of continually asking where while paying attention to the direction the person would point, soon enough it worked. A volunteer from the "crew" spotted my wrist band and motioned me over. I'd made it! Immediately, I was impressed with how swiftly all of my needs were being met, even the things I intended on doing myself were being taken care of. One volunteer even allowed me to wipe my mud covered glasses off on her t-shirt! I was ready to be on my way much faster than I imagined I would be, but where was Scott? I waited, but with nothing more for me to do I began to get anxious about the precious time that was ticking by. I stared down the road hoping for a glimpse of him coming, but still nothing while groups of riders left the check point I was just standing there. I couldn't take it anymore I had to get moving. I explained my situation to a stranger who seemed to have noticed my pacing. He assured me that he'd keep an eye out for Scott and let him know that I was up the road soft pedaling, waiting for him to catch me. Alone now and a few miles down the road I was overcome with guilt. After all, it was my idea that we would leave the c.p. together and I had left him behind. Solutions came and went as I searched for the best way to resolve the situation. I stopped for nature breaks, I swerved slowly back and forth in the road constantly looking back over my shoulder. I even considered doubling back to look for him, but that seemed insane. The name calling and self loathing I directed at myself was off the charts, it was a very low time. Just as I started my effort to shake it off I spotted him coming on fast with a smile on his face. "I'm sorry! ", I yelled. "I freaked out when I saw all the riders leaving the check point" was my explanation. He chuckled and told me not to worry. Within seconds we were back to what we do, it felt good. The middle leg was 73 miles long and it was comprised of what can only be described as "no man's land". Our energy ebbed and flowed and in my case it seemed there were extended times when it ebbed. There were times when I felt that all I was doing was sitting in while Scott pushed hard into the wind. I told myself I needed to pull more so I made a conscious effort to do so. As I came to the front more often I noticed Scott staying behind me for longer periods. "He's tired, help him" I said to myself. I knew he'd been doing it for me, it was my turn to repay the favor. It wasn't long before Scott rallied and we were back to regular turns at the front mixed with some side by side time. We began to take it all in as we found ourselves alone in a treeless land scape without a man made object in sight. The spectacle that is the Flint Hills really is a thing to behold. We were visitors in an ecosystem that thrived without us, that struck me as a good thing. Now deep into the open country side we continued to take care of our bikes, at times getting off to carry them through more sections of ankle deep mud never once complaining, but rather accepting it as some type of rare gift. The second check point pulled me in as each mile ticked off. I sent Amy scattered text messages in an effort to let her figure out my approximate arrival time, which was much slower than what it would have been under more normal conditions. The c.p. would come at the 155 mile mark and as I rounded the final turn I spotted the Salsa tent with the blue timing matt under it. While crossing the matt a deep breath of accomplishment left my lungs and that's when I noticed them. Bobby Wintle and Dustin Burgardt began cheering, yelling my name, and running along side me as I cruised toward the "crew for hire" tent. A broad smile formed across my face as their enthusiasm and encouragement were so truly genuine. Dustin is my dear friend from Kansas that I met on my first trip with Salsa to the great state. He was rooming in the house that hosted us, Dustin and I hit it off immediately. Bobby Wintle is the man that I give credit to for getting me to the finish line the year that the idea for Racing the Sun came to me. If I could capture Bobby's spirit in a bottle I would and every once in a while I'd open the cap just a bit and breath some of it in. My eyes scanned the spectators as I searched for Amy. Unable to spot her I kept rolling for the tent I needed for my resupply, I hoped she was there. It was when I was coasting to a stop that I heard her voice jump out above the others, "Tim! ", there she was hustling toward me, making her way through the crowd. I barely had my leg past the rear wheel of my dismount when my bike was swept away from me by Dustin and Bobby. They went to work on it like a NASCAR pit crew, tuning the shifting, lubing the chain, and mounting my pathetic little light. I managed to plop into a lawn chair while Amy worked on my nutritional needs. Typically, when I've reached Cottonwood Falls I have been so worked over that it was a pretty miserable experience, but this year was different. I was happy! I felt sincere gratitude for I was doing what I loved and I was being supported in doing so by people I loved. My heart was full. It didn't take long and I was ready to get moving again with 45 miles to go. I looked to Amy as I got ready to approach my bike and she simply said, "I'll see you at the finish." She never has a doubt and in moments like that one, I believe her. Rolling out of c.p.2 was an experience I'll never forget. I put Amy and Bobby in my review mirror and started off down the road. Shortly after leaving I saw Dusting walking with his wife, "Dustin, see you later", I said. Our eyes locked, he smiled and offered me some words of encouragement. Pedaling through the main street of Cottonwood Falls, Kansas I noted the throngs of people along the sides of the road. What an event! Just then, Nick Legan jumped out into the road, slapped me five and yelled "GO EKI! AVENGE ME! ", a line we came to love while watching Red Dawn together in our host home during one of my first visits to Kansas. Nick and I have been friends ever since. Soon, I began to hear "YEAH EKI, GO! ", "ATTA BOY EKI", "YOU GOT THIS TIM", from both sides of the street. I waved and smiled and wondered who they all were. I didn't know all of them, but they seemed to know me and it was a feeling I can't describe. As the crowd thinned out I realized I had tears in my eyes, as I was overcome with emotion. Another thing I noticed on my way out of town was Scott working on his bike on the side of the street. I can't be sure, but I thought he had his rear wheel off. Earlier I told him that if I got out of the check point first I'd take it easy until he caught me, but as I rode past him I assessed my condition and truth be told I was tired and I wanted to get to Emporia. Dustin had calculated the exact amount of miles I would need to continue north and into the wind, the number was 11. After the 11 miles I'd be turning east for a spell and then finally south for the home stretch into Emporia. I wanted to drill this last section and get to the block party! A few miles out of town I managed to get my ear buds in and some music on shuffle. Somehow my tunes got stuck on Journey's Greatest Hits for two complete run throughs, that's a lot of Journey. So while I hoped for some inspiring, upbeat, hard driving music I had "Open Arms, and Separate Ways" to listen to, pretty funny now that I think back to it. Ahead I could see a fast moving group of what appeared to be five with a solo strung off the back, his body language suggesting to me that he was digging deep to get on a wheel. I wondered if I could get to him and if so, the two of us would be able to get to the five. I put my chin on the bars and went for it. There were times that I'd close some distance, but lose it again on the next downhill. I felt I was climbing well, but I was unable or unwilling to take the risks that I needed to on those downhills. Therefore, it didn't seem that I was getting any closer when it all shook out. However, I was on familiar terrain now and I knew the route and the general landscape. In other words, I knew when to go full gas and when to conserve. As I approached the turn to head east two guys came by me like a freight train. "NOW! GET ON THEM! ", I screamed in my head. Going 'all in' I floored it to grab the wheel of the second man. I'd done it and I could feel the pull of their draft. "Stay with these two and you'll finish strong", I told myself. Day was turning to night and the two riders I was with meant business, we were really moving (at least it felt that way after 14 hours in the saddle). Finally, one of them flipped on his light and the reality of my lighting situation came rushing back to me. I looked at my handle bar and saw my little commuting light sitting there. How could I have been so stupid to bring this light when I have one back home that is the same size and 5 times brighter. What a rookie mistake. I vowed not to turn on the light until absolutely necessary, because embarrassingly I wasn't even sure how long the batteries would last - they weren't fresh. The three of us would eventually pick up some other riders, some of which tried to jump on and failed, while others succeeded. At 9:20 p.m. I counted six, including myself hauling at 22 mph on flat, fast gravel. I felt bad for "sitting in", but I simply didn't have the lights to take a pull. I had been hovering near the back of the group poaching their lights as mine just wasn't powerful enough to be effective, let alone at high speed in a pace line. Oddly, there were very few rotations to the front. A few very strong boys pulled for the majority of that closing hour. I was impressed. Traveling at 22+ mph with a rear wheel 4 inches ahead of your front in the dark is a sketchy situation to be sure, but that was my world. Just as I was thinking about how I couldn't see any obstacles in the road due to shadows and the rider in front of me blocking my view it happened. The guy ahead of me slammed a pot hole with everything he had and in a nano second so did I. He violently veered left as his foot shot off his pedal. While he careened for the ditch I noted his skill as he made an amazing save, avoiding a catastrophic crash. Meanwhile, I crushed both tires to the rim in my meeting with the pot hole. Somehow, by some miracle I did not flat (Thank You Schwalbe Tires). I let a gap form while I recouped my nerve, shook some cobwebs loose and reminded myself that I'd come too far for a silly mistake, "FOCUS!". I knew that once we hit the black top this thing was as good as over. According to my estimation we would have about 2 miles of city riding before the finish and I was ready to be done. Finally, it happened the lead rider in our group called out for a right turn and I felt my wheels hit smooth tar. Hours and hours of vibration instantly disappeared, while up ahead lights of convenience stores and shops illuminated the night. The ride through the university went by quickly as we ramped up our speed, each rider anxious for the finish. Into the lane marked out by traffic cones we all rode with the finish now in sight. Crowds lined the chute, the volume of their cheers stood in stark contrast to the silent beauty I was part of some hours previous. My mind spun back through the day as I contemplated all that I'd been through. The "march of the damned", the water crossings, the dead fish in the middle of the road, the expansive views untouched by man, the wind, the friendships, and the emotions. When I lined up at the start line some 16 hours earlier the only thing that I knew for sure was that I was surrounded by people whom I considered "The Tough". As I rode across that finish line I let myself believe, even if just for a second, that I was one of the "Toughest of the Tough". Thank you Dirty Kanza for giving me the chance to believe. Salsa Cycles - The Warbird Ti, what a bike! Rudy Project - Keeping my eyes and head safe for hours and hours. Schwalbe Tires - Not one flat, that's huge for this race! Amy Fullerton - I'll always see you at the finish. Bobby Wintle - Your encouragement stayed in my mind for that whole final leg. Dustin Burgardt - Your calm, supportive demeanor means so much to me. Fred and Lillian Spellman - Thank you for opening your home to us and for your gracious hospitality. To all the riders who approached me and mentioned that my writing has resonated with them, even inspired them, I can't tell you how much that means to me. I am so grateful. Something didn't feel quite right, I couldn't put my finger on it, but something was definitely off. Nevertheless, I went through the motions of sorting through the piles of gear I had organized the night before. It was 3:00 a.m. on the morning of my birthday. I was in a hotel room with my wife sound asleep close by on the bed. Soon I'd be heading to the starting line of my 6th Trans Iowa. Nervously, I picked up my phone one more time with the hope that maybe, just maybe the weather forecast had changed for the better. It hadn't. Suddenly, an overwhelming feeling of anxiety came over me and internally I said, "You're not going to finish." I pushed the thought of not finishing out of my mind. It was the first time that I had ever had that feeling. The feeling was foreign to me as I have always toed the line of ultra endurance cycling events knowing for a fact that I would see the finish line. But, this time things were different. An ominous forecast and a "spooky" vibe hung heavy over this Trans Iowa. I told myself that I'd find my way through it, I always do. With that I whispered to Amy that when I got back to the room from putting my bike on the car it would be time to go downtown, to the start of the T.I. I stole a glance at the American flag as it snapped tightly back and forth in the wind as I ratcheted my bike into the rack. As if to mock me the flag hissed and spit at me in the wind, Sssssnap! Snap! Doing my best to ignore it I tossed my helmet and gloves into the car and headed back into the hotel. There was a tension at the starting line as riders did their best to ignore the impending doom that hung over the scene. I joked that the only reason I was on the front of the start area was because I had arrived late. It was all superficial chatter while more serious issues were at the forefront of our minds. The wind seemed to swirl and gust through us like a ghost as we stood in place waiting for the sound of the horn. The rain was predicted to start in about an hour and if the forecast held true I would just need to make it through the misery until late afternoon and then I'd be left with just the wind, albeit up to 30 mph worth of wind. Soon we were underway. I immediately felt the power of the wind as my bike and I were buffeted in sudden gusts. Ahead a group of about 15 riders were already threatening to separate from the field. I'd seen this before and I'd been a part of that group several times. This time however, I was in full rain gear with a temperature that hovered in the low 40's (it seemed). I did not want to start cooking up a sweat with rain on the way, staying dry for as long as possible was a top priority for me. "Let them go, let them go" I told myself, fighting the urge to close the gap that grew with each passing minute. Experience has taught me that riding the Trans Iowa as a leader of the 2nd tier can be a good thing. Floating around unnoticed off the lead group has it's advantages, this is where I planned to live for the next 30 - 34 hours. I watched my old friend's tail lights disappear up the road as they tested each other's strength. SPLAT! A fat raindrop landed on my arm. Touching the screen of my gps I noted the time, "just like clock work" I thought as the time matched what the hourly forecast predicted. The initial splat turned into a repetitive crackle against my rain gear. Riders who had not yet donned the appropriate clothes were now diving for the side of the road to suit up. I joined them in order to make some small adjustments to the gear I already had on. Normally, I would have been able to make these small tweaks while on the move, but the winds made it too risky to ride one handed for even a few seconds, let alone no handed. It wasn't long before a full on rain storm was all over us. I made the decision to attach my hood to the rain jacket in an effort to keep dry the little wool hat I received for finishing T.I.v.3, my first Trans. Zipping the hood to the jacket proved to be more difficult than I expected with cold fingers and wind that would not allow the material to settle down for even a second. I was alone now on the side of the road wasting precious time fighting with a stupid hood, but at the time that hood was one of the most important pieces of gear I felt I had. It would be comparable to having a house without indoor plumbing, you could do it, but it sure would be nice to have it. Eventually, I had everything in place and was focused on the job at hand, pedaling. A crushing easterly wind was consistently in my face and really hurting my average speed. The road was now saturated and sucking my tires into it enough to be bothersome. More concerning was the amount of power I was forced to dole out in order to contend with the forces of nature. It occurred to me that I was either at maximum power or a notch below for huge chunks of time in order to hold an average speed of 7 or 8 mph. Occasionally, the course would turn off of it's eastern direction offering some respite, but never for long enough. I surmised that Guitar Ted was definitely taking us east first, this wasn't good. I began to hear concerns from other riders about making the check point in time. Quizzically, I looked at them wondering why they'd be concerned with such a thing. I'd never been in danger of missing a cut off in my life, it certainly wouldn't be happening today. I pushed on gradually growing more and more concerned about how slow I was going. The worry would quickly leave my mind as I concluded that we wouldn't be heading east for the whole morning, soon enough we'd probably catch a quartering tail wind, thus increasing our speed. The sun, where was the sun? Typically, sunrises are very special times in the Trans Iowa, whether it be the first one or the second one. I always take time to let my mind drift no matter the situation as I contemplate the beauty of the sunrise combined with what I'm doing at that moment. Oddly, this time the inky black night just seemed to gradually turn dark gray as the surroundings seemed to become more ominous. I'd been at it for a few hours now and my energy level was waning. I'd been burning a lot of matches very early, way more than anyone should in this event. Sure, early nerves do cause one to ride harder than they should at first, but I was running wide open for extended periods of time with no soft pedaling ever! I had yet to really join any riders for a significant period of time as all were fighting the elements in their own way. However, I found that I seemed to be going back and forth with a young man riding a machine that had me thinking he was on a single speed until it occurred to me that he was in fact shifting on the down hills. Huh? I examined his bike more closely and realized he had an internal shifting hub with a belt drive. Our strength was similar and it wasn't long before we introduced ourselves and began to ride together, his name was Ryan Lee. Ryan traveled all the way from Washington D.C. to ride the Trans Iowa. I appreciated his upbeat demeanor despite the conditions. Instantly I knew the two of us would be riding several miles together if not most of the day. The dark gray morning reached a point where I was able to turn off my lights and really see the arena I was operating in. Iowa's barren fields absorbed the moisture as soon as it fell, turning the soil into a deep black color adding to a landscape that was other worldly to me. The roads had turned into a splattery mess, they could hold no more water, so puddles began to gather on the surface, causing very difficult conditions to ride in. Ryan and I slogged up the hills and splashed down the other side over and over again. I'm not sure who mentioned it, but the topic of the check point came up and whether we'd make it in time. Swiping the mud off my screen I decided to take a peek at the stats. "WHAT?!" We had only covered 25 miles. The c.p. was 53 miles from the starting line. Immediately, I started doing math in my head and came to the conclusion that we would need to average 16 or 17 mph the rest of the way in order to make it. "It's going to be close, it could be down to the minute", I told Ryan. Certainly we'd hit a tail wind section with some hard road under our wheels and I knew we'd have to fly when that moment came. We'd been going east for most of the ride it seemed so I felt we were due. I have become familiar with Trans Iowa courses and how Guitar Ted lays them out. It's not uncommon for him to have us doubling back from time to time, in other words, heading west this year. I was counting on this, it would be our only salvation. Guitar Ted had told us at the pre-race meeting there would be one "B" road in the first leg of the event. Most often "B" roads are about a mile long, a few are shorter, while others can be up to 2 miles. I figured we'd be looking at about a mile of hike a bike. As any T.I. vet knows allowing your tires to touch the "B" road mud only invites disaster, therefore it's best to hoist the beast and just carry it, unless you can push it in the grass filled ditch. Our first encounter with the minimum maintenance road would come at about the 32 mile mark, give or take. The conditions of the road were just as I expected, bad. As I trudged through the mud and slipped down into the ditch I began to assess my situation. The course hadn't turned to the west like I'd hoped, we had been traveling slower than ever, the rain was sheeting down at an angle, the temperature on my gps indicated 33 degrees, and now I was walking. I had done the math over an over, it was obvious, my Trans Iowa was finished. I stopped on the side of the "B" road, ankle deep in water, and I pulled out my phone. While water poured off of my helmet and onto the phone I waited for it to power up. At 7:30 a.m. I texted Amy these exact words, "Not going to make cut. My phone is on, will text at cp around 8:30." Upon completing the hike I looked my bike over, cleared some stubborn mud and mounted up. Just then I heard my partner Ryan yell something to me about his bike. I turned to see him examining his rear wheel. I couldn't leave him so I doubled back, "What's up?" I asked. I don't recall what had caused his problem, but a new one had emerged. He could not get his rear wheel to seat into the drop outs. We both fought the wheel and inexplicably it resisted going into the frame. Our voices became more intense as the situation was quickly becoming very serious. Hypothermia was imminent if we did not find shelter or keep moving. We popped out his brake pads in an attempt to allow the wheel to slip in unencumbered, but it still refused the frame. What seemed to be at least 20 minutes had passed when Ryan asked me if there was any shelter near by. I couldn't believe the question. "No, just that farm house" I said pointing up the road. He urged me to push on and eventually I decided I'd better. I was soaked completely through now and the cold wind was biting at my core. As I got ready to push on I told him that he needed to get into a garage or something so he could work on his bike. There was no way he'd be able to walk the 12 or so miles remaining to the c.p. My spirit was crushed. What was I doing leaving him there? How could I do that? I rationalized that there was nothing I could do and that maybe it was better that I left, maybe I'd find him help? Just then up ahead I saw a pick up pointing toward me and looking as if it was taking on a rider. I made a direct line for that truck hoping the driver would see that my intentions were to have a conversation. As I pulled up I recognized a shivering Chris Schotz. We exchanged pleasantries the best that we could given our circumstances. I told him that I had a guy back down the road about a 1/2 mile that was in trouble. He had a broken bike and it wasn't going to be fixed, please help him. Chris barely let me finish the sentence and said, "We'll get him". This is what the Trans Iowa is. With Ryan in good hands I began to face my own demons. Alone again I resolved to make the first c.p. despite missing the cut off. There I would ask Amy to come find me. Meanwhile, the conditions had drifted from severe to dangerously intense. I remained in a riding state of full power with very little to show for it. The rain had turned to frozen pellets stinging my face, while my drive train creaked and groaned with every pedal stroke. I secretly begged the chain not to break. A mechanical under these conditions would have done me in. Up ahead, just in time, I recognized the riding style of my friend Scott Bigelow. Scott and I have ridden many miles of gravel together (he and I can be seen drafting off each other in the short documentary "Racing the Sun", about my experience with the Dirty Kanza). I had hoped before the race that Scott and I would be able to share some miles and it looked like my wish had come true. We said "hello" and agreed that we'd ride together to the check point. There was a lot to say, yet we said nothing. We fought the hills at impossibly slow speeds, barely above a track stand as we engaged the wind, neither side willing to relent. At times I'd notice that he was looking over at me the same way I'd looked at him while wondering how the other one was doing it. We were both doing it and we never spoke of the hardships we were facing. Scott would later tell me that he told his son that "you know you're in the company of good people when faced with an impossible situation and there are no complaints". I'd follow Scott's wheel to the edge of the Earth, he's that good of a guy. Scott and I both knew that honor waited for us at the c.p. as well as a ticket out of the mess. I watched the 50 mile mark come to my gps and I knew we would be there soon. My text to Amy stating that I'd be to the check point around 8:30 would need to be adjusted. I quickly sent her this at 8:36 a.m., "More like 9:30 till I get to cp". 9:30 a.m. came and went. It was now close to 10:00 a.m. and I still wasn't to the c.p. I wondered if she was worried, but I remembered her telling me that people always ask her if she worries and she responds with, "No, he knows what he's doing." That comforted me, but I'll admit I was starting to worry. We were getting very cold! Ahead, with only 2.5 miles to go I saw another truck pulled over with the driver talking to riders. It was some of Guitar Ted's best in that truck, the volunteers. Somehow my spirit lifted, if only just a bit. They'd have information for us, maybe they'd pick us up. We rode straight to the drivers door and I put on my best "I can handle this" face. Mike Johnson, the man who lead my group to the finish line in T.I. v.9 jumped out of the passenger seat and rushed over to me. He saw through my brave face and knew what was really going on. With a hand on my shoulder he stood in the pouring rain and sincerely asked me how I was doing. "I've had better days on the bike", I told him. "I know you have, I'm in awe off you guys, you're warriors", he said. Quickly, he and his partner began to pour over a map in an effort to get us to safety as fast as possible. The driver began giving me directions that I couldn't comprehend. I had stopped listening right after he told us we had to double back. The thought of going backwards on course made me sick. It was then that the town of Guernsey was mentioned and Scott's eyes lit up. "My wife's in Guernsey! ", he said. "What the....? How in the hell? ", I thought. It didn't matter why she was there I just wanted it to be true. My mind zoomed in on the notion of her being close by and possibly picking us up. Scott fired up his phone and through a spotty connection he managed to have a conversation with her about where we were and how we could get to each other. A mild panic swept over me as I sat listening to him describe where we were when all of a sudden he started saying, "Can you hear me? Maggie are you there?". He ended the call and calmly looked at me without saying a word. The silence seemed to last forever until I said, "Do you think she understood where we are?" "Yes", was all he said as he snapped his foot into a pedal. Traveling backwards on the course I repeated the directions we needed to follow in order to run into her, as she would be driving toward us, "two miles up this road, left for a quarter mile, then a right turn on tar..." Suddenly, Scott slammed on his brakes and frantically started digging into his food bag that was mounted to his top tube. He fumbled with the zipper with frozen fingers, his phone was ringing and he couldn't get to it. "Please answer Scott, please..." I said to myself, but he couldn't get to it in time. Eventually, he got the phone out and returned the call, "It was Maggie" he said has he waited for an answer. The wind howled into my hood making it impossible for me to hear his side of the conversation. I could only see him struggling to position his body in such a way that the wind would allow him to hear her. While putting the phone back into his bag, he told me that she had Troy Krause (another past finisher that I've ridden with in Trans Iowa) with her and they'd be coming from behind us. It was a matter of minutes until I saw headlights in the distance, "That's her!" he said. Text to Amy 9:56 a.m. "I'm safe. In a car and coming home soon. I'm frozen" We were cold and beaten. I didn't want to unzip, wipe my nose, or remove my gloves, because any movement just meant that I'd be pushing wet clothes against frozen skin. I sat still as my emotions darted all over the place. I was safe now and soon I'd be warm. The reality that my Trans Iowa was over was very real. It was o.k. Maggie passed a chocolate chip cookie back to me and after I unwrapped it I instinctively took a chunk off and gave the rest to Scott, who sat shivering next to me. It never occurred to me to eat the whole cookie, you just don't do something like that in these kinds of situations. Scott encouraged me to eat the whole thing, but I hesitated. Maggie then added that they have "a whole bunch of them". I devoured the cookie as I contemplated what I'd consumed in the last six hours, one salted nut roll, and only one bottle of water...that was it! I know that seems ridiculous, but while battling the elements eating food and drinking water seemed like a distraction, an extra amount of work that I wasn't willing to commit to. I know this was flawed thinking. Common sense suggests that one should eat and drink twice as much under those circumstances, but common sense went back to the hotel long before I did. Amy greeted us in the parking lot of our hotel as I peeled myself out of the car seat. She later told me that my lips were blue when she first laid eyes on me. I was covered from head toe in sand and mud. Any movement caused dried dirt to cascade off my clothing. I determined my best course of action would be to undress in the shower and try to rinse my gear off as I did so. Not long after I started the process the bath tub plugged up and the warm water began to pool at my feet. It felt good as the blood returned to my toes. Mud splattered everywhere even though I was being as careful as I possibly could. I didn't care, I was happy to be "home". One shower later and I felt human again, but I needed food. We set out for downtown Grinnell for some lunch or dinner...I didn't really have a handle on what time of the day it was and as we entered the restaurant my eyes locked with a guy that seemed familiar to me. It took me a couple seconds before I realized it was Ryan. I shook his hand and told him that I was glad he was back safe and sound. I asked him if Chris Schotz had picked him up, he confirmed that he had. I was glad he was o.k. We parted and went on to enjoy our lunch. Half way through Ryan gave me a wave as he and his wife walked out of the restaurant. I told Amy about my time with him and how bad I felt leaving him. Our server approached our table and asked us if we needed anything else. I told her that we were good to go. She then mentioned that our lunch had been taken care of by the gentleman who was sitting over there - Ryan. So goes the spirit of Trans Iowa. Thank you buddy! That night we enjoyed the company of fellow riders down at the local establishment. We shared stories and marveled at how Greg Gleason made it past that first check point, the only rider to do so. Scott and I covered a lot of topics, many of which had nothing to do with cycling, which was a good thing. As the night wore on I realized that it was never really about the distance we covered, but rather the stories we shared. Recently, someone very close to me reminded me that it's not things that mean the most to us, its the experiences we have. She couldn't have been more right, thank you Amy. The Trans Iowa has become like a piece of art to me, sometimes it's beauty holds you in disbelief, while other times it's raw and hideous nature won't allow you to turn away. Someone once said, "Art is never real unless you believe in a little magic". Thank you Trans Iowa for all of your magic. Amy Fullerton for understanding all of it and for never doubting me. Bob Ek for putting up with and taking care of little Charley (our kitty) back home. Guitar Ted and all of his volunteers. Ryan Lee, thank you for your kind words, but most importantly your positivity. Scott Bigelow, thanks buddy! When the chips are down and all the cards are on the table, when nothing is left I want to look over and see you riding by my side. Maggie Bigelow, thank you so much for that ride. Sorry about saying I wanted to kiss you. I inched closer and closer to the turn that would send me south to Emporia. My condition was fading fast as I had not eaten or drinking anything since the last cp. In addition, the first 100 miles had several sustained periods of very hard efforts and it all seemed to be catching up to me. Now I was questioning the wisdom of my decision to carry only 3 bottles, but my condition had nothing to do with the number of bottles on my bike, but more in the reality that I had fallen behind on my hydration. As any experienced cyclist knows (me included) that when this happens it's too late. I had lost focus and now I was paying the price. I had less than 20 miles to go so I let the count down begin. Glancing at the gps every block wasn't helping my mental state so I switched to the map screen to avoid seeing the mileage. Thinking I'd beat the gps at its twisted trickery of never changing the mile I noticed that now I had replaced that obsession with another - water! Finding a water source was all I could think about despite the fact that I had two full bottles on the bike and wasn’t drinking any of it. My mind swirled from one irrational thought to the next. I was beating myself up mentally now as I analyzed other riders only to determine that they looked better than I did. The demons that lived within were frolicking through my brain. My speed had slowed considerably and my legs looked like the legs I owned when I was 12 years old. While I contemplated my new found scrawny, shriveled self I saw a female rider ahead suddenly pull off the road. "What's she doing?" I asked out loud. Just then I saw her working the handle of a pump. The words "She found water!" jumped out of my mouth. I pulled up next to her and asked her if she thought it was safe to drink. She ignored my question and went on to tell me that she had recently sat down in a cattle pond in order to cool down. As I cringed at the thought, she assured me that it was "semi clear". I hoped the water emerging from the pump wasn't nearly as parasite ridden as the water in those ponds. We topped off our bottles and mounted back up. This ultra strong woman from Tennessee didn’t say much, but neither did I. Our lack of conversation was of no concern, as it seemed that all that needed to be said was written on our faces. I noted how she steeled herself against the road, owning her machine with a bullet driven focus. Her determination kept me in the game. I wanted to tell her, but the effort to speak the words seemed too great. I told myself that I'd tell her how she motivated me once we got to the finish. With less than 5 miles to go I had entered another world. Severe dehydration had its boot on my neck while I meandered around the road fixated on my gps, begging the mileage to flip to the next number. I recognized where I was on the course, but was confused by the myriad of turns that existed in the closing miles. To add to my confusion was the fact that in previous years I’d passed through these roads in the dark. Despite my desperate state I made the effort to note the position of the sun in the sky, riding high against its blue back drop. Somehow it shined down on me pleasantly, while taking what little moisture remained in my body, a strange beauty within the paradox. 199 miles! My gps was permanently stuck at this point. I was all used up with nothing more to give. My stomach gave up pretending that it could make it to the finish in tact. My calves were cramping regularly now and any movement other than pedaling would send them rocketing into golf balls under my skin, causing me to grimace and cry out. I wondered what the moment would be like when I stopped to call Amy telling her to come and get me, because I could go no further. The disappointment would be overwhelming when I would let her know that I was just outside of town. Suddenly, it occurred to me that there would most certainly be paramedics and an ambulance at the finish. The thought of getting medical attention started to drive me toward the finish. "Once I cross the line maybe they'll give me an I.V. ", I told myself. I'd heard from other athletes who had been in similar situations that an I.V. turns the tide on dehydration very quickly. This would be my salvation! Emporia proper was passing under my wheels. I was home now, inside the city that has adopted Amy and me as two of their own. A grounds crew worker at Emporia State University turned off his lawn mower as I approached and started clapping for me. With tears in my eyes I lifted a hand off the bar in acknowledgement of his gesture. I read the messages written in chalk on the road, "You're almost there; YOU DID IT!" As I entered the finishing chute I held my hand up over my eyes in a gesture that shielded them from the sun, for this time I had beaten the sun and for the 5th time I rolled across the finish line of the Dirty Kanza 200 and into Emporia's open arms. Minutes after completing 200 miles of Kansas gravel I pressed my cheek against the cool brick of the Jimmy Johns sub shop located just feet from the finish. I stared at a crack in the side walk, lost in a world of ants going about their business, hustling around, and working as a team. I zoomed in on their life as cheers of finishers crossing the line echoed somewhere in the distance. Amy sat close by watching me, reminding me to drink and eat, but her voice was distant and barely audible to me. Soon a shadow appeared over the ant colony I had become a part of. It was the shadow of a rider who had just approached me after finishing his 200 miles. His words snapped me back to the world in which I belonged. He was filthy and fatigued, but focused. Our eyes locked and in an emotional tone he simply stated, "You have no idea how many people you have inspired. I can't tell you how many times I watched 'Racing the Sun'. I want to thank you." I muttered "Thank you" back to him as I contemplated what he said. "Me? An inspiration" I thought. I'm not an elite athlete. Who could I have inspired? I began to reflect on the last few days in Emporia and how welcomed we were, how we'd been taken care of. Had I done something to affect this race, these riders? Had my ‘race against the sun’ offered them a perspective on their personal journey through these 200 miles of gravel? I don't know. What I do know is that my story was honest and from the heart, just like the people of Kansas and just like the people riding in the D.K. 200. So, when I need inspiration I'll think of what I saw out on that course, on the faces of those riders, they were and are my inspiration. Thank you. Amy Fullerton: It’s you that let’s me know that I will never quit. It’s you that knows exactly what to do and what I need. You are what draw me to all of my finish lines. Salsa Cycles: Your products not only do what you say they will do, but more importantly they are products that I believe in. The Warbird Ti has proven to me to be the most effective, performance orientated, and forgiving bike in the gravel market. Schwalbe Tires: I want to thank Jeff Clarkson for his conversations with me about gravel tires and what Schwalbe tire would be the best choice for the Dirty Kanza. The Mondial is durable and a fast rolling tire, perfect for the D.K. Rudy Project: My head and eyes were well taken care throughout all 200 miles of the Kanza. I know the Sterling helmet did its job when I forgot that it was even there. Mike Riemer (Salsa Cycles): Thank you for all your product support, but more importantly thank you for your friendship. The message you left for me on my phone during those closing miles meant the world to me. Jim Cummins, Lelan Dains, Tim Mohn, Kristi Mohn, and the entire crew of the Dirty Kanza: I’m not sure where to begin. You’ve welcomed me in and made me part of your family and for that I am truly grateful. You have created a national treasure and touched thousands of lives in the process and not just the racers, but their support crews as well. I will forever be connected to you. Rus and Myra (Our host family): Thank you for opening your beautiful home to Amy and me. The comfort of having space to organize gear and to relax was a huge stress reliever. Rus, thank you for your support at the finish line. I am grateful to you for not only your understanding of my physical state at the finish line, but for your care of my gear and bike, you are one of the good guys. Citizens of Emporia: The Dirty Kanza is not only a race, but it is an experience and it is the people of Emporia who make it that way. For example, Amy told me on the drive home that she apologized to an employee at one of the stores and her response was this, "That’s o.k., I’m just glad you’re here." Enough said. Eventually the 100 mile check point came into view. I had a list running through my mind and knew exactly what I needed to do once I arrived. My strategy has always been to take care of the bike first with the thought that without the bike I am nothing. Once I had all of the bike’s needs tended to I concentrated on what I needed, fresh bottles and nutrition. With these items taken care of I was on my way in short order. The mid part of the race was upon me and this is typically when I struggle mentally and physically the most. As if I were in a "no man's land" I had nothing to connect to. The thread connecting me to the start line had stretched so thin that it snapped long ago, while the finish lie so far ahead that I could not yet feel its pull. It was and has always been a very lonely time for me. Muscling ahead I noticed that my sense of urgency was fading. Food was becoming more and more unappealing so I focused on fluids. Calories were what I needed; they were the precious fuel that must be consumed in order to keep the engine running. "Why wasn't I eating?" I wondered. Then, it dawned on me, the sun was wrapping me in a blanket of heat. Heading north with a slight southerly breeze on my back I felt like I was riding in an oven. Each glance to the gps resulted in a sigh as the temperature continued to climb, 83, 85, 86, 91. A review of what I’d eaten through the course of 6 hours was disappointing, 6 Fig Newtons, 2 gels, and a peanut butter and jelly sandwich, that was it! I needed to eat more! I pulled out some trail mix and immediately noted that all of the m & m’s had melted, it was getting hot! Up ahead was a single speeder I’d been trading pulls and positions with all morning. He was strong as an ox on the climbs and I needed him to pull me up while he needed me to pull him on the flats. Earlier we’d developed a codependent relationship as we moved through the naked landscape. Finally, I caught him and after some small talk we introduced ourselves. His name was Hunter, originally from Mississippi, but now living in St. Louis. I enjoyed his southern drawl and deliberate delivery. He wasted few words and meant what he said, I liked that. We agreed that we should work together during a 12 mile push into the headwinds as we headed east out of check point 2. Riding on good road conditions is when it happened, a sudden jarring hit to the rear wheel, the kind that cause you to take a deep breath and hold it for a second. "Whoops, must have not seen that one", was my immediate thought. Kansas gravel tends to be loosely strewn on top of what seems to be bedrock, which often reveals fixed rocks in the road. A couple checks of the rear tire had me feeling confident that all was o.k. Approximately 20 minutes later was when I felt the sickening bounce of a soft tire. Dumping my weight on the saddle confirmed the tire was down by the metallic clink of rim hitting hard ground. "Got a flat", I announced. A few others had joined us by this time and the group turned to look at me. This announcement had become all too familiar to everyone in the event by this point given the sheer numbers of riders pulled over working on damaged tires. It was Hunter who expressed concern. The look on his face said it all, he was disappointed and now caught with a decision, should he wait or press on. I’ve been in his shoes and I didn’t want him to worry about anything other than his own race. "Do you have what you need? Do you want my help?" he asked. "I’m fine, keep going", I told him. I watched him ride over the next rise and out of my sight. He would continue his wrestling match with the Kanza without me, while I would embark on upcoming struggles of my own, without him. I spotted a perfect place to get out of the way and get to work on my problem. Things went shockingly smooth and before I knew it I was hitting the new tube with a blast from a CO2. The tire was nice and hard and holding air. However, I was now spooked by the notion that more pinch flats were coming for me. There were 38 miles between myself and check point 3 where I’d be able to get my hands on a floor pump and the ability to bring the tire up to the pressure I wanted. I waged a war inside my head against the road. "Keep an eye out for big rocks", "You’re going to get another flat", "The tire is fine, stop checking it", and on and on. I was making myself crazy and it needed to stop. I was finally able to push the thoughts of a failing tire from my head only to be consumed by the idea of a depleting water supply. With 3 bottles hanging off my Warbird and the temperature rising I began to worry about having enough fluids and as fatigue set in the slightest concerns controlled me. I couldn't stop thinking about water and how I was going to run out. Then, suddenly ahead there they were, road angels, 3 men dressed casually as if they were having a beer at a ball game, except they weren't at a ball game, they were sitting at the end of a long driveway in what seemed to be the middle of nowhere. What I must have looked like to them as I pulled up with 140 dusty miles behind me, "Hi, would you happen to have any ....?" I tried to get out before one of them interrupted in an excitedly friendly tone, "Do you want some water?" "YES PLEASE, OH MY GOD THANK YOU!" One of them pulled a 2 liter bottle from an ice filled cooler and proceeded to top off my supply while another commented, "All of these guys with 3 water bottles need water." Their bottle was still 3/4 full of cold, clear water when I was asked, "Want the rest of this?" I gazed at the clearness of the water before bringing it to my lips. I proceeded to drink and drink and drink while the men continued their conversation. I noticed that whatever they were talking about had petered out into silence save the sounds of the bottle crinkling and crackling while water poured down my throat. The three men stared wide eyed at me while I drank a liter and a half of water without a pause. I was approximately 50 minutes ahead of the projected time I told Amy I’d be hitting check point 3. The advanced pace caused me to be concerned that I’d arrive before she got there and I’d not only miss the opportunity to see her and receive some words of encouragement, but also miss the opportunity to use the floor pump that I knew was in the back of the car. As I rolled under the Salsa tent and over the timing strip I heard her familiar voice, "Tim over here!" It was good to hear. As I leaned my bike against a tree near the road I assessed my body. Mentally I was in the fight and felt good that I was ahead of schedule, but my concern centered on my lack of caloric intake. Physically my legs were smoked. My neck was sore, as were my hands. But, I only had 50 miles to go, roughly 3.5 hours if I were to maintain the speed I’d been riding for the last few hours. I moved through the needs of my bike as quickly as I could and asked Amy to set her timer for 10 minutes in order to get me back on the road. I knew my tire needed more air so I asked, "Amy will you run to the car and get our floor pump?" She responded with, "The car is a long way away; it could take me a bit." I was o.k. with that and told her I’d take care of other business while she was gone. And, with that she took off like she was shot from a cannon. Within minutes she was back with the pump and breathing heavily. I would later find out that Amy ran as fast as she could for just under a mile in order to get that pump to me. As I brought my tire up to an appropriate pressure I heard her say, "God, it’s hot out here." 150 miles were behind me now and all had been going to plan minus the one hiccup with the flat tire. The finish line was within reach, yet I hadn't begun to think about it. I knew that the last segment included some rugged stretches and some steep climbs. Climbs so steep in fact that I recall last year having to dismount and walk up a few of them. I also knew that I'd travel approximately 35 miles north out of cp3 and then make the swing for home...I mean…Emporia. The miles north were uneventful as the sound of gravel crunching under me served as a kind of white noise while my mind traveled to places much further away than Kansas. Suddenly, out of no where my bike started making a bizarre buzzing sound that can only be described as a baseball card chattering through my spokes. I even looked down between my legs to see what was caught up in my wheel when suddenly a large shadow enveloped me. Startled, I looked up to see an air plane! A yellow, single engine, crop dusting style plane passed above me low and slow. I was so surprised that I rode along slack jawed in awe of what I was seeing. The pilot made impressive banking turns and at one point he appeared to be landing. "Is he going to put it down right here on the open range?" I thought as he disappeared over the next hill. As quickly as it appeared the whine of his engine was gone and so was he. As I thought about whether I imagined the entire experience he reappeared, this time coming toward me extending off the top of my next climb, his engine screamed as he seemed to be throttling hard toward the sky. He exposed the planes under belly as he made a hard banking turn in order to continue flying in the 'nap of the land'. I couldn't get the smile off of my face as I crested the climb we shared. My eyes strained into the distance as I studied the ribbon of gravel stretched out ahead amidst the expansive green and blue back drop. Riders were strewn among the road like a string of pearls; all lost in their own thoughts, but on the same mission. As I took in the awesome view in front of me my new friend returned, this time flying parallel to the road. He was backlit by the sun and flying 20 feet off the ground. I raised my fist, pumping it in the air in an effort to communicate with him. Cooley, he took one hand off the controls and held it out the window to me. I yelled "yeah" to him as he passed. I watched the silhouette of his plane move out in front of me in stellar fashion. Just when I thought it couldn’t get any better than this, he tipped his wings ever so slightly. Goose bumps came over me and in that moment he was gone. Part III, the final chapter coming soon. I vowed not to look at the mileage on my gps until I reached the next corner of what seemed to be an endless gravel road meandering somewhere through the state of Kansas. My vision was blurred; I had no moisture remaining in my mouth despite 3 nearly full water bottles on board my bike. I marveled at the surreal sight of my calf muscles dancing to their own music under my skin. Straining to keep moving forward I stole a glance against my own rule to see the mileage had not changed; I was forever stuck on the 199th mile of the 202 mile long Dirty Kanza gravel road race. There was no way to move forward any longer. My stomach repeatedly revolted at simple thoughts of food or water. It had been some 50 miles since any real nutrition or fluids had made it into my body, systems had begun the painful process of shutting down hours ago, I had past desperate some time back and I now lived in complete survival mode. "Just make it to the finish line so you can get to the ambulance", was the last coherent thought I recall. My 5th running of the Dirty Kanza 200 came on the heels of a short documentary made by Salsa Cycles called "Racing The Sun" about my experience with this event located in Emporia, Kansas. The film connected with many people as they set their own personal goals within the most popular gravel road race on the planet, for this I was flattered. I too had set some goals for this year's race. First and foremost, I wanted to finish before sunset in order to obtain the award inspired by my previous experiences on these dusty, rugged roads. Second, I was bent on completing the distance in less than 14 hours. Weather conditions have been so extreme in previous years that finishing within the 14 hour mark had always eluded me, but this year the forecast spelled out the perfect scenario for a fast day. Once we were settled into our host home my wife Amy and I headed down town to see how things were shaping up as well as to attend the pre-race meeting. I spotted some old friends from Emporia as well as my friends from Salsa Cycles. It was great seeing everyone again, but the 6 a.m. start would come early, so we headed back to our temporary home for some last minute preparations and a good night of sleep. The start line was filled with an energy so strong that if bottled it would have powered all of Emporia. I squeezed in among some familiar faces, one of which was Joe Meiser. Joe and I have logged more miles together than most guys and we've suffered together more than two guys ever should. I've seen him take the pain and he's watched me get up after being knocked down time and time again, I was in good company to be sure. The countdown ended and race director Jim Cummins set us free. I wriggled out of Emporia's grasp as Commercial Street passed under my wheels. The increasing light made me aware of the rising sun as I refused to think of what the Kansas heat had done to me in the past. Like an image that should not be looked at I allowed myself to make eye contact with the only competitor I had on the course. I held my stare as my eyes strained against its burning light. It wouldn't be the last time I checked its position in the hours to come. Joe scurried toward the front in search of safety as almost 800 riders tried to do the same. I promised to ride my own race so I watched him until I was overtaken in a cloud of dust. It was as if I were riding behind a semi truck on the driest of dirt roads. Choking on the dirt, I forced myself to breath through my nose, but the effort of the pace made that difficult. Soon after accepting my world of dust I encountered the first incline of the race. While spinning up that climb I felt the awful feeling of a bouncing rear tire. Was I already getting a flat? I was certain that I was as I craned my neck to get a look at the tire I heard "Tim, what's wrong, you o.k.?" it was Mike Johnson, another gravel junkie of which I’ve shared hundreds of miles. "I think I'm getting a flat." I said. "You can't get flats with these tires", he joked as he was running the same tire set up as I. "You're FINE, it looks FINE! ", he said in a tone that seemed to scold me for even worrying about it. He was right, everything was fine and it was just the message I needed at the time. I told myself to "calm down and settle in". That's exactly what I did. The pace was high, but manageable. I wished I was further toward the front of the race, but attempting to move up at this point would be too risky as the crowd of riders around me was thick. I chose to hold my pace and keep my head on a swivel as riders made moves around me that kept me on my toes. I longed for things to string out and for people to settle into their own pace, I knew it would come soon. "Just get through the first hour and a half without incident", I told myself. The first 35 miles went by in a flash and soon the space I longed for was around me. Although other riders were always within talking or yelling distance things were eerily quiet. The big business of riding 200 miles of rugged, dusty gravel was at hand and things were being taken very seriously. I was fine with sticking to the task at hand and found myself concentrating hard on the road in front of me. In fact, my eyes were glued to the road, searching for any rock or obstacle that might give me trouble. I was too focused, wasting valuable energy by riding tense, I needed to relax! The D.K. was doing what it does, eating tires for breakfast. I passed rider after rider as they worked to change their maimed tubes as quickly as they could. Sometimes there'd be 4 riders working on tires within a two block distance. Typically, these rashes of flats would occur at low spots in the road where wash outs existed. It seemed to be that these areas would be approached at high speeds without the rider "lightening" the bike before entering the rough spot and as the bike "G'd out", pinch flats were the result. I made a mental note and tried my best to turn my 165 lbs. into 130 lbs. every time I saw these sections approaching, it seemed to be working. It wasn't much longer after I had adopted this strategy that I saw my good friend, Joe on the side of a Minimum Maintenance Road working on his tire. I quickly pulled over, "Joe, everything o.k.? I'll wait for you!" I yelled. He replied, "I just need to add a little more air, let's ride together for a while." Joe and I ride well together, we stay positive and have a knack for picking each other up when things get bleak. I rode slowly ahead, looking back for the colors of his kit as often as I could. I started to become anxious over wasting precious minutes when suddenly, I picked out his riding style from a group of about a dozen. He was moving through them quickly and soon he'd be on my wheel. I slipped into his draft as he rolled past and within minutes things were as they have always been, me trying to keep up. Joe has a lot of horse power and when he's determined he's capable of putting the hurt on some of the best gravel riders in the state of Minnesota, so one can imagine my concern as he started throwing gas on his own fire. I told myself to hold on. I’d held his wheel many times before, but this time things seemed different. He was riding well, often surging with power then backing off some. I became concerned with these surges as they were hurting me, so I came forward and stated that I was very close to my limit and didn't want to ride much harder than I was. Joe surprised me by admitting that he didn't mind slowing a bit as he felt he needed to ride "smoother". As we approached the first check point I glanced at the time of day on my gps. I was a HALF HOUR ahead of schedule in regard to my goal time! "Am I riding over my head?" I thought. Only time would tell. A fast pit stop at the first check point had me rolling down the road in quick fashion. Joe handed me the last third of his Coke and we were on our way. It was a little past noon, but the real heat of the day was yet to come. The early morning overcast had given way to puffy white clouds backed by a Kansas sky that was so blue you didn't dare stare too long for fear that you may not be able to ever look away. The day had evolved into one that I dreamed about during the winter months while pedaling through slush and snow. Joe and I joked, laughed, and goofed around on our bikes like kids riding circles around our elementary school. We inadvertently took turns passing each other, making the other laugh with stupid jokes. I looked up beyond the remote two track to see my friend ahead of me singing out loud to whatever obscure music was blasting into his ears while ahead of him lay the vastness of the open range. The ribbon of gravel swirled off into the distance, we were the kings of our universe, and we were doing what we loved to do. It was a moment to behold. Ten mile chunks of distance were no longer passing as easily as they had before. Joe was beginning to lift the pace and I was feeling it. I was 80 miles into a 200 mile event when I realized the pain of holding my friend’s wheel was becoming too much. I examined his face and his position on the bike, he was in total control. I told him that I was impressed with his effort and encouraged him to keep it up, while the gap between my front wheel and his rear steadily grew. In my mind I told him to "Go, Go!" as he moved from one small group of riders to the next out ahead of me. I laughed to myself as I rationalized that it was time for me to "let him spread his wings and fly." The reality was that Joe was doing what he can do and that is flat out deliver power when he wants to, now he was chasing his own race. 85 miles into the event and I watched my friend ride out of my sight. Although he never heard me I thanked him for giving me a fast first 100, pushing me way ahead of my goal time. I was in great shape in regard to my race against the sun as well as my race to beat 14 hours. Wausau 12 Hour Solo: Here's to Dust, Demons, and Never, Ever, Quitting. As my backside hit the lawn chair with a thud, the result of a somewhat controlled fall into a sitting position, I knew that things were not going smoothly. I was 6.5 hours into my effort and I had broken my cardinal rule of not taking a pit stop. I guess maybe I could have pushed through the pit, wobbling on down the trail, but after weighing the pros and cons of the stop I concluded that the benefit of taking a short break would somehow out weigh the benefits of pushing on deeper into the hurt tank. Amy happened to be there when I stopped which was a good thing as it was nice to see her face and receive the help she was offering. For what it was worth, I made sure to let her know that I was feeling "pretty worked over", in the hopes that at least saying the words to her would somehow ease the pain. The chair seemed to pull me deeper in as if I were an anchor sinking to the bottom of the sea. Not sure when I'd hit bottom I decided that I better get moving before getting up no longer was an option. "I'll see you at the finish", I yelled over my shoulder as I rolled away. I was back to the single track, but lacking the pop I had displayed during the early hours of the race. Rolling through "no man's land" I pushed on alone riding disappointingly slow as the doll drums took over emotionally as well as physically. Over and over again I reviewed my strategy of resting on the bike when things were bad and pushing hard when things were good. The problem was that the resting seemed to be dominating the ride. I grew increasingly concerned about my position within the field as the intensity I'd felt in previous years was lacking and I seemed to just be on a very long bike ride. It wasn't long after these concerns emerged that the demons came out in full force. "Failure. You're a failure", was the phrase that grooved in my head. I couldn't shake it no matter how hard I tried. I've dealt with negative thoughts countless times during races, but for some reason this time was different. The negativity was so strong that even my conscious efforts to replace them with the reality that I was most likely in 3rd position could not take over. Finally, a moment of clarity came to me and I concluded that my electrolytes were most likely off kilter which was affecting my mood and rational thought. I promised I'd pop some tablets the next time I passed my pit area. The sun had passed it's high point a while back and was now casting long shadows through the trees making the darker sections of the trail more difficult to navigate. As a result of my compromised vision I relied on my Spearfish to get me through the rough stuff. The course itself was not that physically demanding, but it was rough and required a great deal of attention. Scattered with roots and rocks the trail wouldn't take much to dislodge a rider from his or her machine. I was fortunate enough to stay mounted despite a few close calls. Deep fatigue dominated my being as I searched for any inspiration I could find. The trees and landscape were aesthetically pleasing, but offered little in the way of encouragement, I was alone with the bad guys in my head. Sunset had arrived as I climbed slowly up a gravel road, my eyes focused on a camp fire burning at the top. A small group of 20 somethings relaxed around the fire, spent beer cans at their feet and smiles on their faces. "C'mon Salsa!" they shouted to me as I crested the climb and entered their party. They begged me for a small smile, but I could not muster one. I liked these guys and they became my inspiration. I tried to communicate with them telepathically given the fact that I could not spare the energy it would take to exchange comments. Instead, I thanked them in my mind and let them know I heard their encouragement by slamming into harder gears at the top of the climb and pinning the following descent as hard as I could with their cheers fading behind me. I was into my 9th lap of what I had concluded could be an 11 lap race for me, but most likely would only be 10. I had already worked out all the details, all the excuses, and all the ways I'd live with the fact that I only did 10 laps when 11 were possible. Still, there was a tiny voice that would emerge stating, "If you stop early, it's the same as quitting and you don't quit." The dilemma became all encompassing and ultimately very confusing to me. It sounds easy, but at the time I could not make sense of what the right thing to do was. I decided that I would make the final decision as to how the race would end for me when the moment was upon me. In other words, it would be a decision I'd make at the completion of the 10th lap. If I finished the lap before 10 p.m. and wanted to end my race I'd need to stop and wait before crossing the finish line until the 10 o'clock hour passed. Conversely, if I wished to continue on with my race I would need to cross the finish line of my 10th lap before 10 p.m., and push on into my 11th and final lap. Decision time came at 9:10 p.m. Over 11 hours into the race I approached the conclusion of lap 10. I suddenly accelerated toward the line, took a deep breath and rolled over it. "Now you're committed, you have to see this through to the end" I thought as I gingerly moved out of the start/finish area toward the single track. I had lost my 3rd place position at the start of the previous lap to a fast moving rider that I could not keep up to, but it mattered little. I had now been reduced to the race in my head and the one that existed between my wheels and the dry single track beneath them. Throughout the day I had broken the course down into sections, all of which contained one difficult portion, usually a rock garden. I planned to ride to each section, get through it and then ride to the next one. My headlights would show me the way as the dust swirled through the beams of light. At times I'd find myself focusing on the tiny specs floating innocently toward me as struggled down the trail. Amazingly, I had met with the gravel road section which not only told me that I in fact was making forward progress, but I was actually nearing the end. "Push down, Pull up" I repeated to myself as I turned the pedals over up a short climb when I heard a familiar voice say "Last lap!". "Thanks Danielle" I whispered as I watched my fellow Salsa rider blow past me on her way to a podium finish in the co-ed duo 12 hour. "You did it!" I said out loud as the final piece of single track was behind me. A deep yawn grabbed me as I spun toward the lights of the finishing area where Amy and my sister-in-law's family waited for me. I couldn't wait to see them. I may not have had the same fire I had last year and I may not have done as well in the race, but tenacity and mental toughness ruled the day and for that I am proud. After 12.5 hours and some 120 miles I had completed the Wausau 12 hour solo, finishing in 4th position. I recently read that one trait of mentally tough people is that they only worry about impressing themselves. I'm not sure if "impressed" is the word I'd use to describe how I feel about my effort, but what I do know is that I stayed true to my values out on that course and I DID NOT QUIT! Special thanks to Salsa Cycles, Rudy Project, Schwalbe Tires, and Ski Hut. Also, thank you Amy for understanding what it takes, helping me with the cramps later, and always drawing me toward the finish line. Thank you Gina, Nick, Morgan, and Kate. It sure was nice to see you guys waiting for me in the dark of the finish line. Lutsen 99'er: When a Race Plan Goes to Hell, Just Pedal! This would be my second time at the Lutsen 99'er located on the northern shores of Lake Superior. I was fortunate last year with what amounted to a miracle race for me resulting in a 5th place overall finish. I had no expectations to repeat that performance this year, but I did hope to have a clean race and planned to invite myself into the lead group for as long as they'd have me. O.k., the plan was a little more in depth than that, but first I feel it's necessary to talk about the unique form the 99'er takes. The intriguing part about this race is that it doesn't seem to fit into the typical categories of bike races. With a mix of single track, double track, and a lot of gravel road this event finds it's own place to live - I like that. Off and on over the two weeks leading up to the event I pondered my approach to the race. Last year's plan was simple, "go as fast as you can in the beginning and then just try to keep up". It worked, but it was so unpolished and gruesomely simple that this year would need more detail. I figured that with a top 5 finish last year I'd earned the right to start the race right on the line with the big boys. I had also resigned myself to the fact that going hard with the lead pack was a necessity in order to place as high in the standings as I could so that portion of the plan remained in tact. The details would come in the other riders that I knew. I've been to the ball many times before and it seems that it's always the same dancers out on the floor and I knew what they were capable of. This year I planned to mark them and do whatever it took to hold their wheels. Super fast guys like Charlie Shad, Todd McFadden, Ted Loosen, and Matt Ryan would stay in my sights for as long as I could see them. I knew good things would happen if this plan unfolded the way I wanted it to. The lead car cut us loose on Highway 61 or as those of us from Minnesota call it, the "North Shore". Things were moving fast, but very manageable. It was the climb away from the shore that I worried about. This climb is a grunt up a long steep black top road and typically this is when the field blows apart. It was imperative that I stay up front during the climb. My heart rate was that of a humming bird as the drone of knobby tires took over the scene. I was doing it, I was right where I needed to be. Things had become very serious now and there was an eerie feeling as the pack climbed higher into the fog that blanketed the surrounding wilderness. Ahead I saw a volunteer waving a sign indicating the 99'er turn off the tar and into the first section of dirt. This is where the race would really become a race. I gripped my bars a little tighter and told myself to hang on, it was time to see what I was made of. Just then as I set up wide in order to swoop into the right hand turn with as much speed as I dared carry I heard yelling..."RIGHT TURN" followed by "STRAIGHT AHEAD!!!". This confused me as I knew we needed to turn right, but a lot of people planned on going straight. I realized then that some of the faster riders of the 39'er race which started 2 minutes behind us had drafted their way up to the front of the 99'er field and their course had them going straight. Chaos ensued as near collisions took place all around me. Midway through my turn I saw a young kid full of hope and promise coming into the side of me at a very high rate of speed. In a nano second I did the math, he was going to hit me. I crushed my brake levers into the grips, skidding both tires. I came to a complete stop while he made an incredible move to avoid me sacrificing himself to the ditch and ultimately to the ground. I stole a glance in the young buck's direction as I tried to get the heavy gear spinning again. He was being ejected from his machine like a cowboy being tossed from a bull. I shook my head in disbelief and took stock of my situation. "NOOOOOOOOO", I yelled as I saw Charlie Shad's jersey disappear around the corner along with the lead pack. I'd never catch them with the amount of speed they had under them. I was alone when the thought came to me..."Now What?" In about .3 seconds my race plan was in the dumper. I had no plan B. I hadn't thought it through, I was screwed. There was no choice but to develop a contingency plan. The new plan would involve a level of complexity capable of boggling the mind. Here's what I came up with, PEDAL HARD!!!! Determined to salvage what I could I buried myself creating a world in which I suffered greatly. Often alone I had no other rider to draft off, but I didn't care. I had resided in this world of pain many times before and in some twisted way I kind of liked it. Soon I became a part of small groups of riders, some who had caught me from behind and others that had been spit out of the lead group. These were talented riders each exploiting their own strengths. One in particular absolutely crushed the gravel sections as he would sit out on the front of a 12 man group refusing to let off the gas. I was content to sit in as I didn't think I had the strength to pull at the pace this man had established. It wasn't until the first off road section that I found my own strength. I hit the single track with this group and quickly found myself moving through them. I wondered if handling the rugged trail suited me as a small gap began to form between another rider, myself, and the rest of the group. It was during the off road sections that I tried to spread my wings and during the road sections that I did my best to hold on. The miles past as I moved from group to group when up ahead I saw a familiar jersey. Duluth's own Todd McFadden looked as if he was out for a leisurely ride just spinning along. I pulled up to him wondering what happened as I was certain that he belonged with the lead group that was motoring along somewhere up the road. Little was said as I began working with him in an effort to keep our pace as high as I could stand. Soon we were joined by Ted Loosen who was side lined by an early flat and seemed to be riding with the same intensity that Todd was. As these two strong men chatted about the state of things I did my best to keep up. It was impressive to watch as gaps would form and they would simply speed up and close them while I would work for 5 minutes to shut down a 20 meter distance. Fatigue was the name of the game for me as I plowed through the middle to late stages of the race. As the 80th mile passed under my wheels I noted how uncomfortable I actually was. To say that I was miserable would be an under statement. My eyes burned from constantly being sand blasted by mud, my leg muscles twitched as they threatened to cramp, and my mood resided somewhere between crabby and pissed off. There was a long way to go and I was far from operating at my best. Finally, I reached the coveted milestone of having less than 10 miles to go. The moment occurred on a gravel road section and was one of the few times that my group actually communicated with each other. There was a short discussion as men compared mileage readings on their gps units. Once it was confirmed that we were under 10 miles to the finish the pace ramped up. I cursed myself for helping them determine this fact as I once more slipped to the back of the group. While reminding myself that this pain would eventually end I entered the final stretch of single track that would lead to the finishing chute. I was passed one more time in this section marking at least 10 times that I had been passed in the last 10 miles. I was discouraged by my performance in the closing miles, but I shook off the disappointment by reminding myself that I did my best and for that I was proud. Suddenly, I thought I heard something through the trees, something that sounded like cheering. I strained my ears for any hint that I would soon be off my bike. At last I could hear the announcer shouting the names of finishers into the microphone. I popped out of the woods and before me was a long stretch of road with a beautiful sign in the distance that read, FINISH. I poured some coals on the fire in an effort to make it look like I knew what I was doing as I crossed the line. Amy was there to congratulate me with an extra amount of exuberance that I took as a very nice gesture. Inside I wondered why she seemed so excited for me, but I chalked it up to her just being great. Later she would tell me that she thought I was in the top 20. I assured her that she was wrong that it was more like 40th or so. Set to prove me wrong she insisted that we head to the computers to check for sure. I hobbled along behind her after an impromptu bath by the car, where I stood naked while she dumped water over my disgusting body. It was a scene to behold, trust me. Eventually, we were in front of the computers and I stared out the window while she punched in my race number. "I told you, 18th! ", she said. I was totally in shock and very pleased. 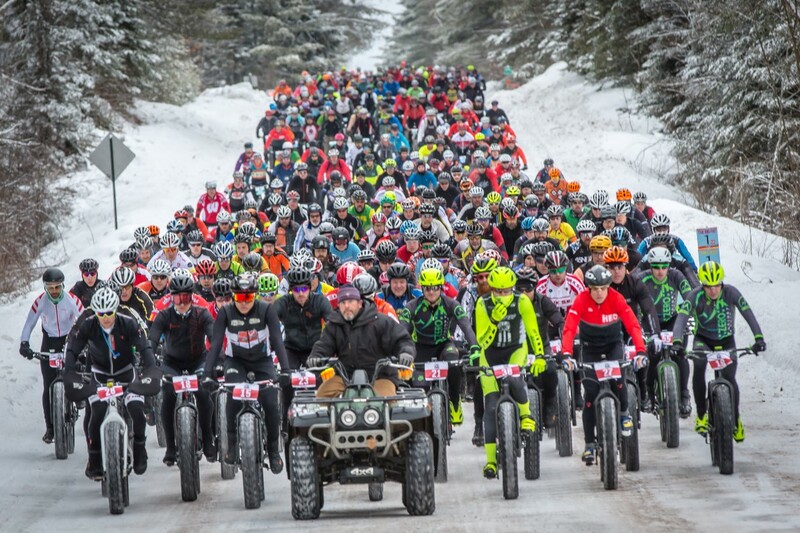 For the second year in a row Lutsen delivered it's mud, pain, and rewards. There's something very special about that place and most of it doesn't have anything to do with being on a bike. If you're ever heading up the north shore and you don't have a plan take a left and head up to Lutsen. Oh, and don't forget to pedal hard. The Renegade Gent's Race is unlike any gravel race I'd ever done. Wait, check that. I've ridden in packs before many times in gravel races and that's exactly what I did at the Gent's race in Ankeny, Iowa on April 5th, 2014. However, the difference here was I didn't have to worry about my little group of 5 trying to destroy each other as the finish line came near. This time the little "band of brothers" were my teammates, our mission was simple..."stick together at all costs and go as fast as possible". The event was to start at 8:00 a.m. with each team leaving at approximately 5 minute intervals. A loose handicap type system was employed in attempt to even things out. That is to say, an assessment of which teams were supposedly "faster" than others was made by the race directors and thus they were given their starting times according to this "rank". Our team, "The Midwest Gravel Grinders" was slated to go off at 9:40 a.m. about the 42nd team to leave the starting line. It was then our task to move up through the field the best we could before the finish line arrived. Which ever team made it to the line first would be the winner. The "Grinders" all hailed from some of the best gravel states in country, Kansas, Iowa, Nebraska, and Minnesota. We were eager to hit the dirt! At last we were under way and tweaking the system so to speak as we searched for the most efficient way to work as a team. It wasn't long before we were rotating smoothly in an echelon formation while a stiff wind hit us hard on the left shoulder. I smiled to myself as I watched the guys work into this riding style without a word being spoken, there was a lot of experience in this group. It wasn't uncommon to feel a handle bar slightly bump into one's hip as a teammate looked for that sweet spot in the "pocket" that the wind just couldn't seem to find. We were riding very close together and cruising comfortably right around 20 mph. Challenges came to us as fatigue began to creep into our bodies. It was Jim who spoke first requesting a bit of a slow down as our stronger members pushed to pace hard on the front. We'd agreed earlier to leave all egos at the starting line as if any would ever show up among this humble group, but nevertheless we knew honesty would be the best policy. We needed to stick together. Soon, the commands came in short bursts from the group, "quarter mile an hour up", "a bit off", "hold steady at 19.5 mph", the group was formed and working well together and more importantly we never allowed one to find himself alone in the wind. The operation was smooth and r unning on all cylinders. With the race only being 66 miles long it was still easy to see the roles our members played and how we fit together. We were also able to see the competitive edge we all have as we were passed by two fast moving teams. I shared a bit of anger as we watched these two teams move through us, but the mission of sticking together was more important than going on a mad chase, we'd let things play out on the gravel. The end game was upon us soon as I revealed to the team the mileage we'd covered. It was then that I noticed Jim Cummins quietly churning through the Iowa country side with a slight grimace on his face. Jim had openly admitted that he needed us to shelter him from time to time and that he didn't want to hold us up. I assured him, as did the others time and time again that he was not holding us up, that he was as strong as an ox. But in the closing miles I noticed the team looking after each other as the stronger riders kept an eye on the ones who'd "gone to the well" more than they wanted to. It was a hand to the small of the back on the uphill grade of a struggling rider by one who was fairing better at that time that proved to me that we had gelled as a group. Late in the game, with Jim digging hard to hold his position in the line I noticed an empty water bottle working it's way out of his jersey pocket. I moved up the line next to him and without a word I pushed the bottle back home and resumed my place. "Team work", was all Matt said as I slid backward down the line, he was right. This is where our group was at now, one for all, all for one. Grabbing one more position in the final miles with a pass on the tarmac leading to the finish line secured a 6th place overall finish. We crossed the line together as one rider and although we felt good about our overall place, we felt better about what we did out there "sticking together". As I rode alone through the vast wilderness known simply as the "Underdown" something just didn't feel right. Sure my body was a complete wreck and I felt like I was barely moving, but there was an eerie feeling in the air. Was I completely alone? A quick check over my shoulder told me that yes, physically I was alone, but I found myself continually checking the trees around me, something was with me and I wasn't quite sure what it was. The Chequamegon Fat Tire Festival is a mountain bike festival that many consider to be the standard by which all cycling events are judged. It comes in two versions, the Short and Fat and what is simply known as the "40". I'd be racing the 40 with approximately 1,900 others. The 40 miles are made up of super fast rolling double track and gravel roads. With this not being your typical mountain bike race different tactics need to be applied in order to have the best day possible on the bike. If I had to explain these tactics to some one who'd never done the race before I'd keep my explanation simple and tell them to race it as if they were in a road race. In past years I'd strayed from this plan and often left the security of fast moving groups of riders in an effort to "go it alone" thinking that I could go faster if I left one group in order to find another up ahead. This leap frogging from group to group seemed to leave me more than exhausted in the closing miles of the race when I needed precious energy the most. This year I told myself that I'd stay more conservative by nestling into the comfort of a fast moving group, at least until the monumental "Fire Tower climb". The Fire Tower hill is a multi level climb resembling steps. I believe there are 5 steps, with the final pitch being very steep and over loose rock. In order to stay mounted during this climb a rider must put their chin on the handle bar and focus, all the while hoping against hope that the rider in front of you is concentrating just as hard, because if he or she doesn't clean the climb you're not going to clean the climb. Passing this land mark means there are approximately 35 minutes left in the race, if nothing goes wrong. With the infamous Fire Tower climb behind me I told myself that I would abandon any group I was with at that time and hit the last 10 miles as hard as I could with the hope that I could get to the finish in under 2.5 hours and in the top 100. A top 100 finish has eluded me for 7 years. Finishing among this crowd has been no easy feat for me. The Chequamegon attracts some the best cyclists from across the Midwest as well as the rest of the country. I wanted to gain entry into this club. 1.5 hours into the race I felt my strategy was working well. I had only gone super deep one time to close a gap that I had carelessly let form in front of me. I seemed to be handling the undulating terrain well as the climbs came and went without too much pain. My calculations told me that it was going to be close and I needed to stay on the gas if I wanted to reach these goals I had set for myself. The negative guy who lives in my head reared up at one point telling me that I'd never do it and that I should just lay off a bit, because it wasn't worth the hurt that I was now putting on myself. Quickly, I shook off the thought and told myself that I'd come too far and was too close to making the top 100 to give up now. I started marking riders out ahead of me, determined to get to their wheel and move past them. One by one I began to move through some of the riders I'd covered the earlier miles with, others I would never catch and I wished them well. 3 miles to go! Those 3 miles seemed like the longest 3 miles of my life, they just wouldn't end. Finally, I saw the familiar turn that put me up the final climb before the long descent into the finish. A glance to the gps told me that I was in front of my goal time and about to achieve a personal best! I hit the stop button on the timer while it read 2:21, 4 minutes faster than my best time. I was happy to say the least, but I still didn't know my position. Amy and I searched for the timing tent and finally found it hidden back in the corner. I told one of the attendants my bib number and she punched it into her little machine. A slip of paper spit out toward me and I scanned it as fast as I could. There it was jumping off the page...97th Overall. A smile came across my face as I folded that slip of paper and shoved into my pocket. I was finally in the club! The Wausau 24, one of the most iconic of all mountain bike races. Superbly managed, the event attracts riders from across the nation. It boasts several categories that seem to entice all ranges of athletes, from the "first timer" to the seasoned pro. I'd be racing the 12 hour solo (geared) division, a race I'd entered 3 times in the past. I came to Wausau this year with one goal I'd talk about and one goal I'd keep to myself. The goal I felt comfortable sharing with my wife Amy was the one that said, "I want to be on the podium". The one I kept to myself was the one I thought about the most, "I want to WIN". The topic of race strategy first popped up while sitting behind a bacon cheeseburger and a pint of Surly Furious at Lutsen's Papa Charlie's. It was the night before race morning and I was politely reminded that I was "way too serious" by my good friend Quinn Williams and my wife Amy. Thing is, they were right, I was deep in thought about how the following day would play out, or better yet, how I wanted it to play out. I knew I had 99 miles of sloppy wet double track, gravel road, and a little single track in front of me. I needed to figure out how to get it done in a way that would leave me satisfied. Soon enough the thoughts in my head were being spilled out all over the table as Quinn pressed for details about what had me so consumed. I willingly shared as he was new to the game of racing this distance. I encouraged him to go hard at the front of the race as he could. Experience has taught me that this often plays to later advantages as the day unfolds. "Well, what are you going to do tomorrow? ", he asked. Despite being intimidated by such a talented field of riders I told him I planned to go with what has worked in the past. I would go out hard off the gun, fighting to stay with the leaders if I could, and I'd commit to going "full blast" for the first two hours of the day, then settle into a more manageable rhythm. Quinn laughed at the notion of going as hard as possible for 2 straight hours and double checked my reasoning, "Are you sure you don't mean go as hard as you can for 10 seconds?" I went on to tell him that I felt there were three races within a race of this distance. The first being the race off the gun that involves landing with riders who are just a bit faster than you so that you can be pushed harder than you would go alone. The second comes in the middle as it turns to a game of just "holding on to the pace". Finally, the last race within is the one that involves going for as high of a finishing position as you can. However, as bonds form out on course this template of racing can fall to pieces as loyalties develop toward fellow racers and personal outcomes become less important. I'd come to learn that these dynamics would end up weighing heavy on my mind in the Lutsen 99'er. Lining up about 3 deep I felt relaxed as the minutes to start slowly diminished. Surveying the crowd of riders behind me I knew staying as close to the front was paramount. The odds of a crash occurring during the roll out of a race this size were huge, especially with 9 miles of tar between the start line and the first sign of dirt. Nervous riders were sure to be taking unnecessary risks in order to be in the position they felt they should be or possibly just riding too fast too early. I was aware that my heart rate was not alarmingly high, therefore I was not yet concerned with the pace. However, that would soon change as we hung a left off of the scenic Highway 61 of Lake Superior's North Shore and began our 1,000 foot climb toward the beginning of the race or should I say the gravel. The climb marked the first of what would be an eternity of sudden accelerations and deep efforts required to close gaps. The grass seemed to shine as it moved in waves across the wind swept prairie. Squinting through the brightness of the day I dared myself to spot a man made object, there were none. My bike and I were passing through the vastness of the Flint Hills, racing another Dirty Kanza 200. I was riding through God's front lawn and I knew it. This year's Trans Iowa is finished. I'm unraveling all the thoughts, feelings, and memories from the event. The race was not without it's complications for me, but that is T.I. and I was ready for it. I got through them with the help of some friends. The compassion and support grown men (who all are pretty tough) show for each other when the chips are down is something I'll never forget.